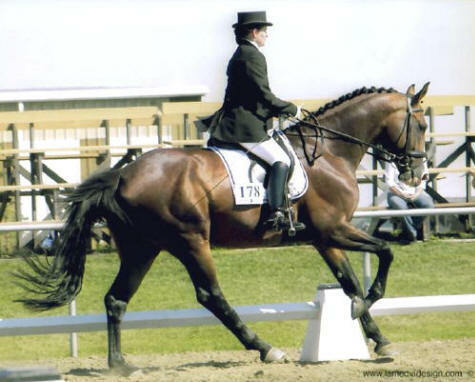 Tempranillo has had a successful career in both the dressage and the show jumping rings and is now producing good minded show horses. 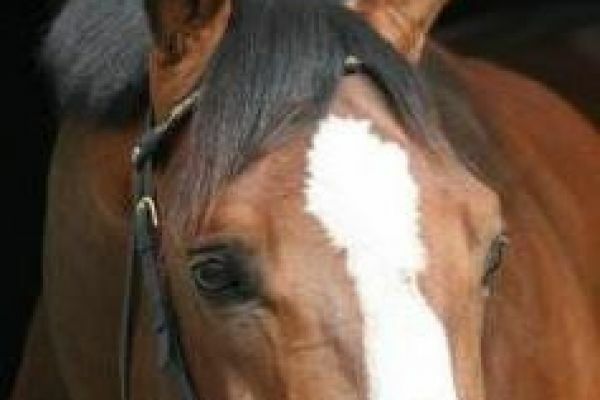 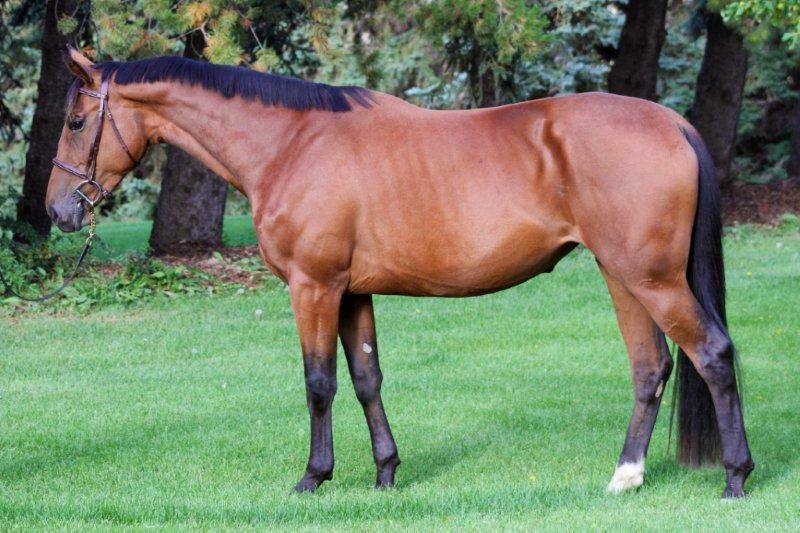 We are saddened to report that Tempranillo had to be humanly euthanized due to a paddock accident. 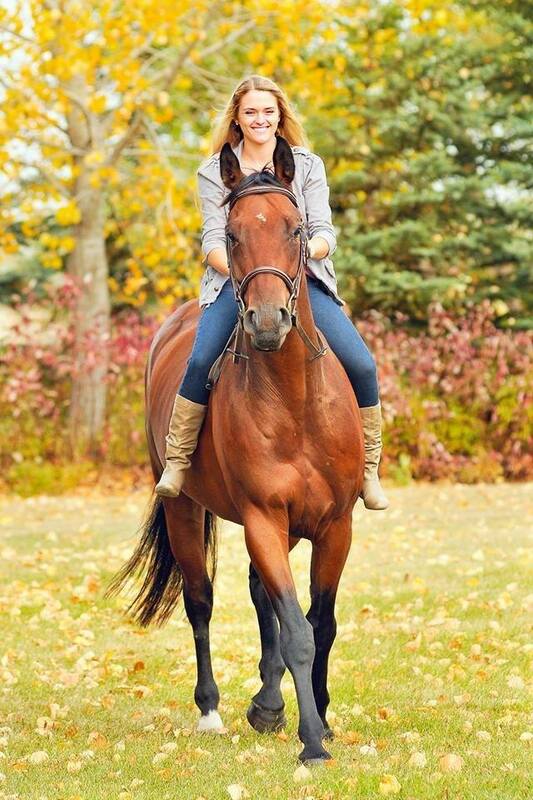 His legacy will be carried forward by his many top producing daughters that we at KVF are lucky enough to own. 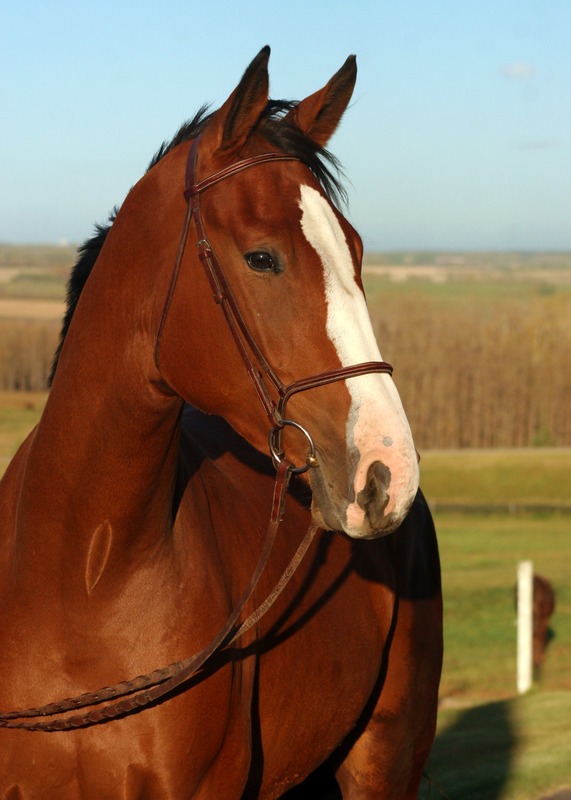 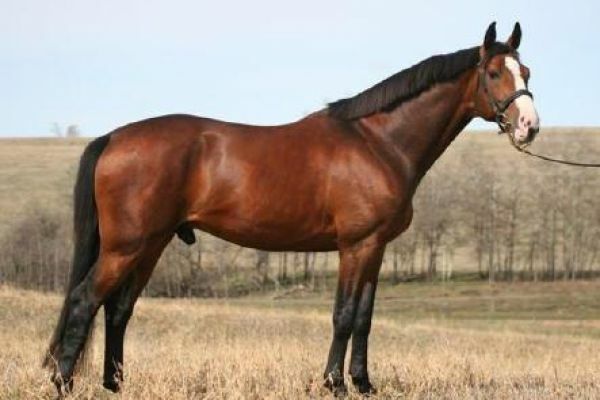 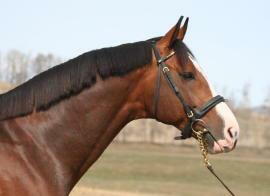 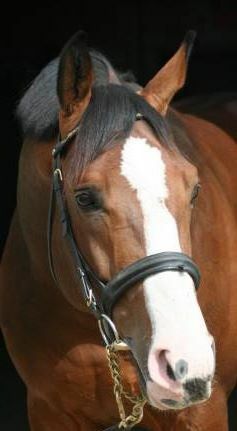 Tempranillo himself is a modern type longer lined stallion with a great top-line and excellent conformation. He shows wonderful expression in his gaits and has an especially quick, powerful hind leg with a lot of animation up front. 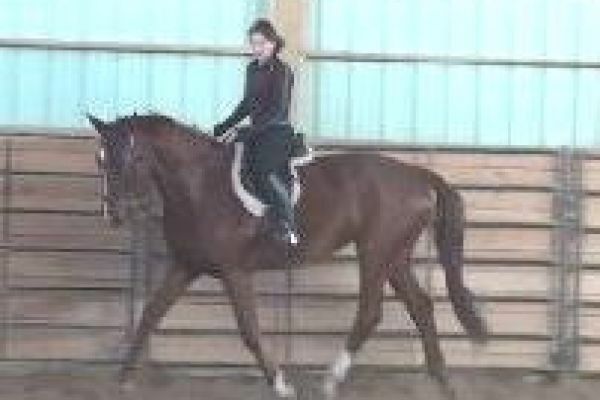 His canter is balanced with nice rhythm. 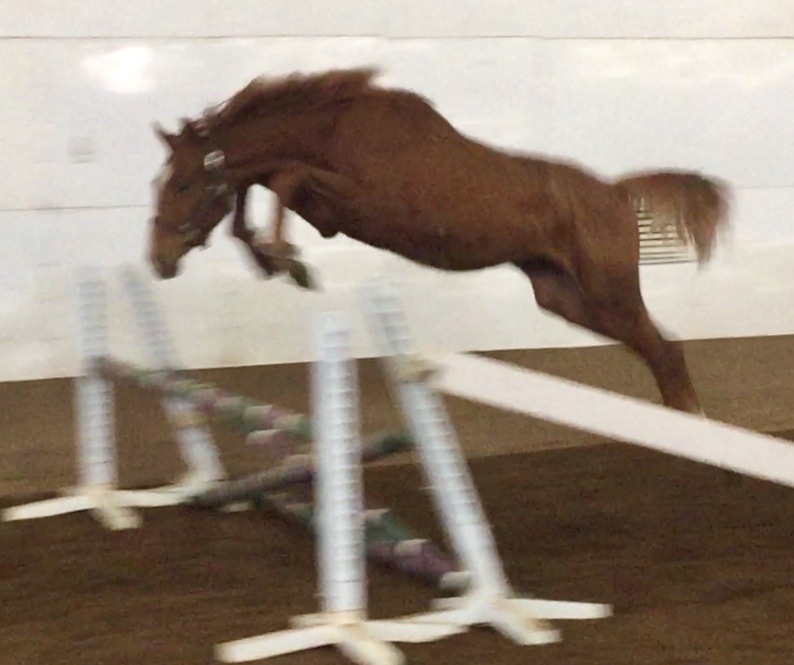 His jump shows good technique and scope. 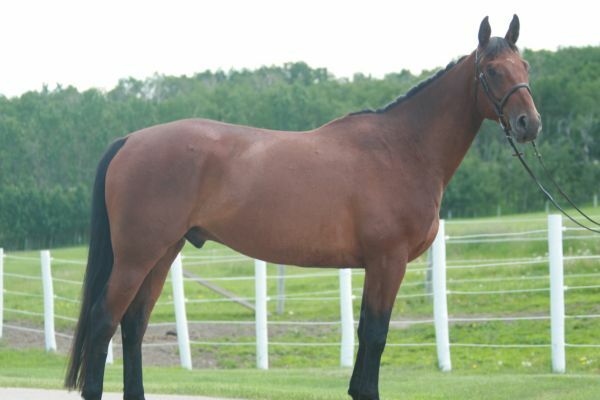 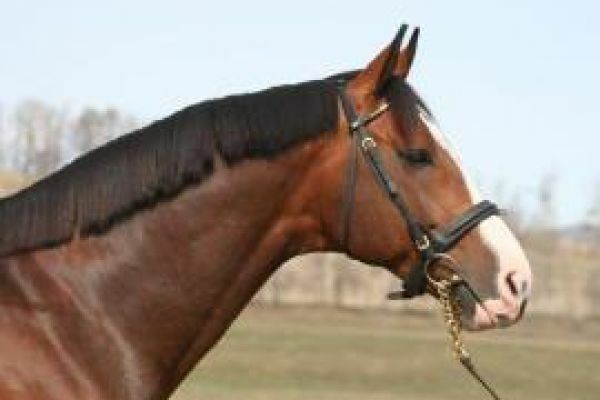 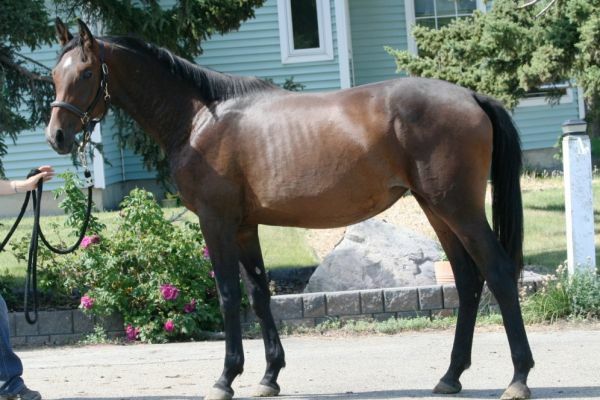 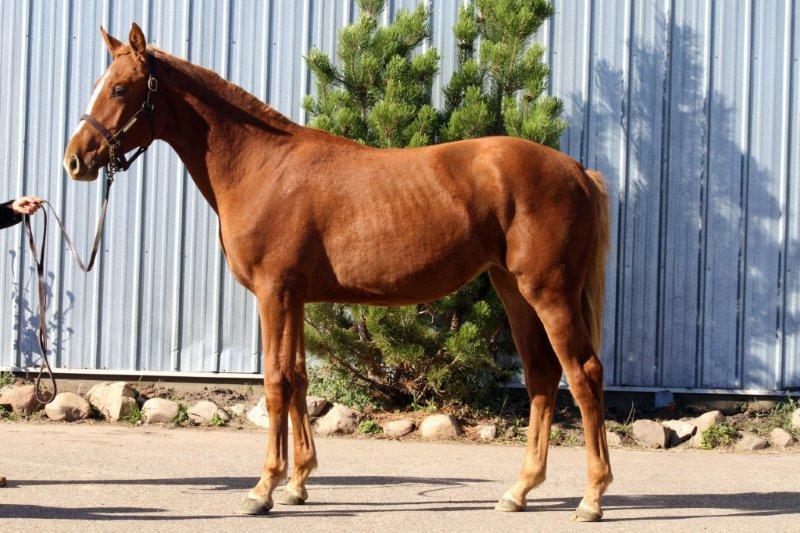 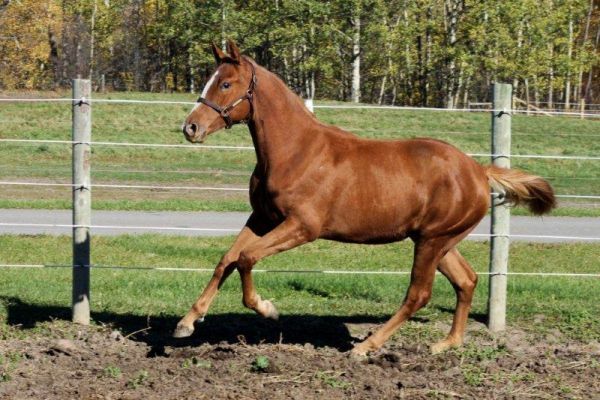 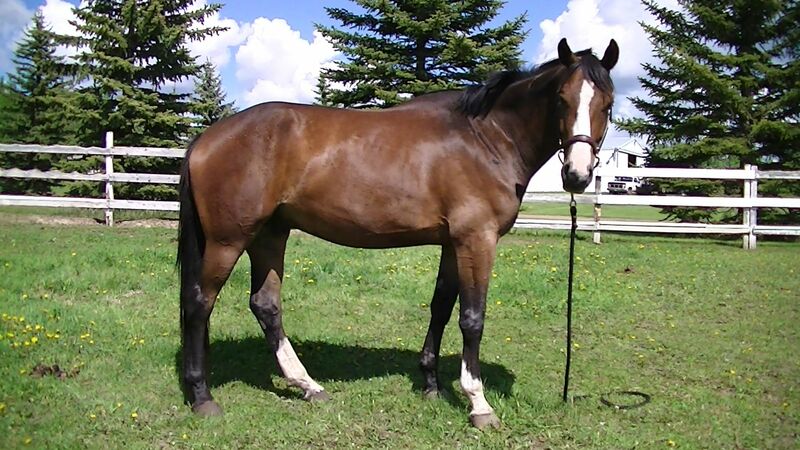 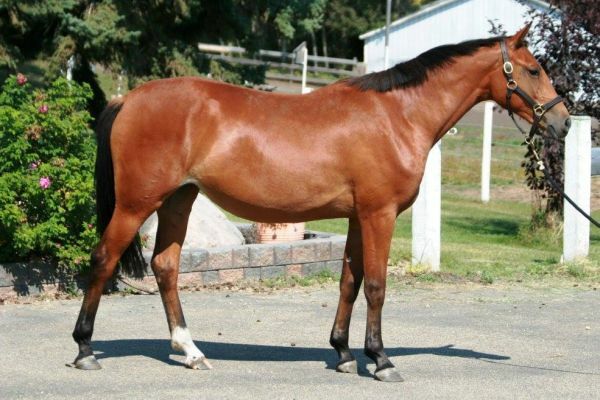 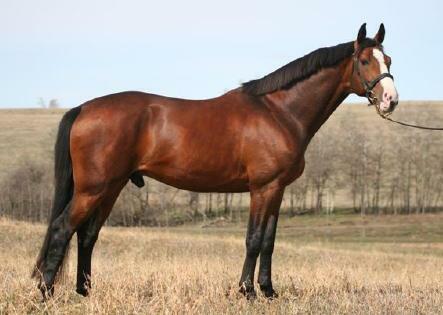 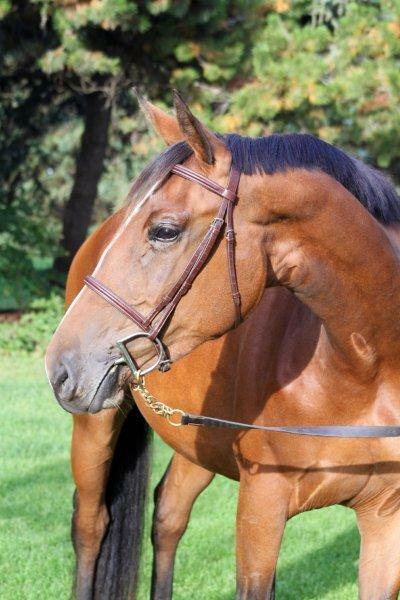 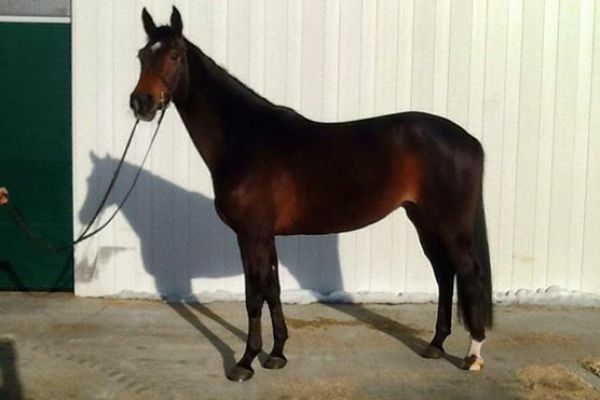 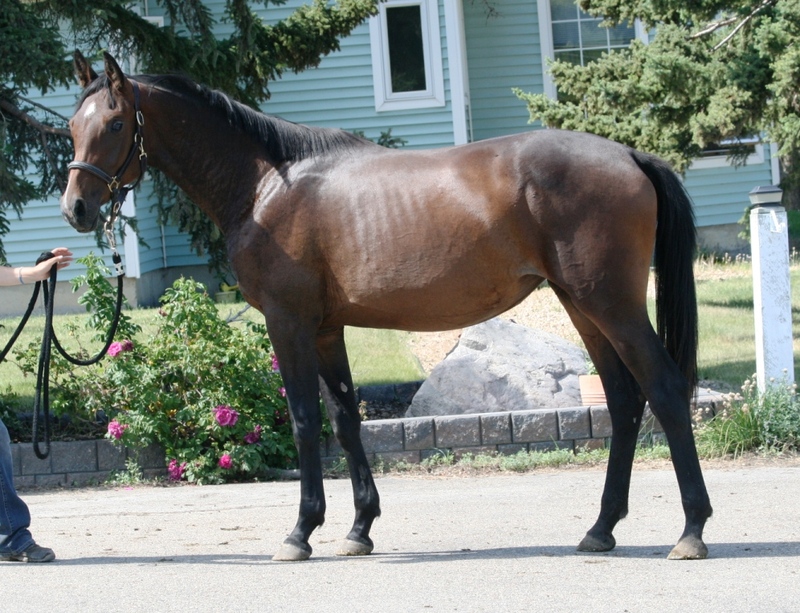 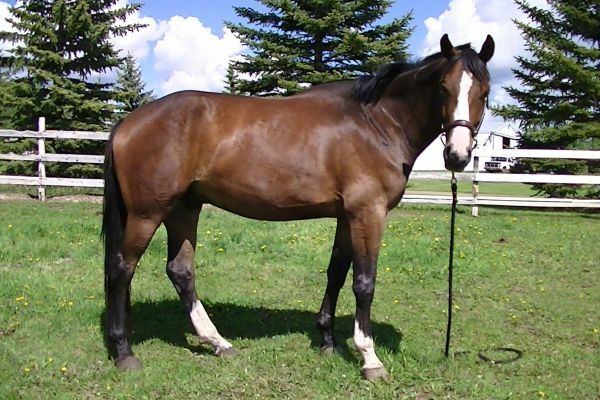 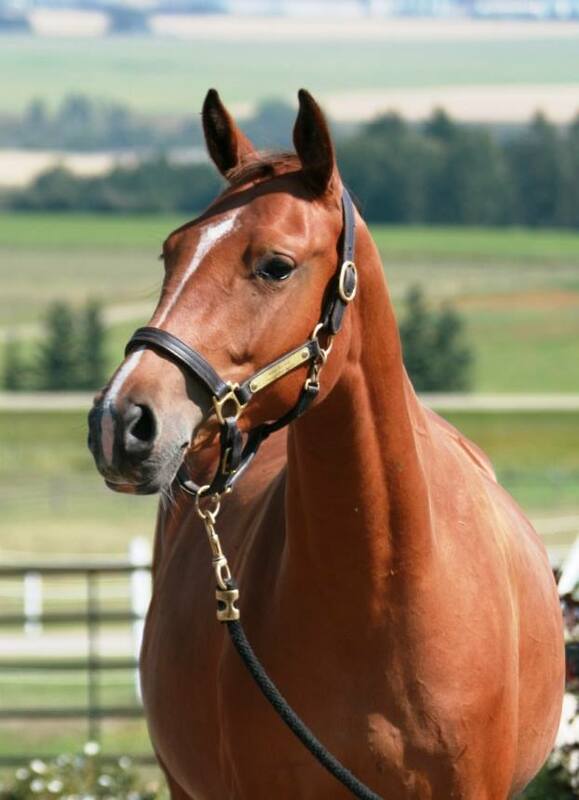 This stallion is the complete package of super movement, great jumping ability and excellent conformation. 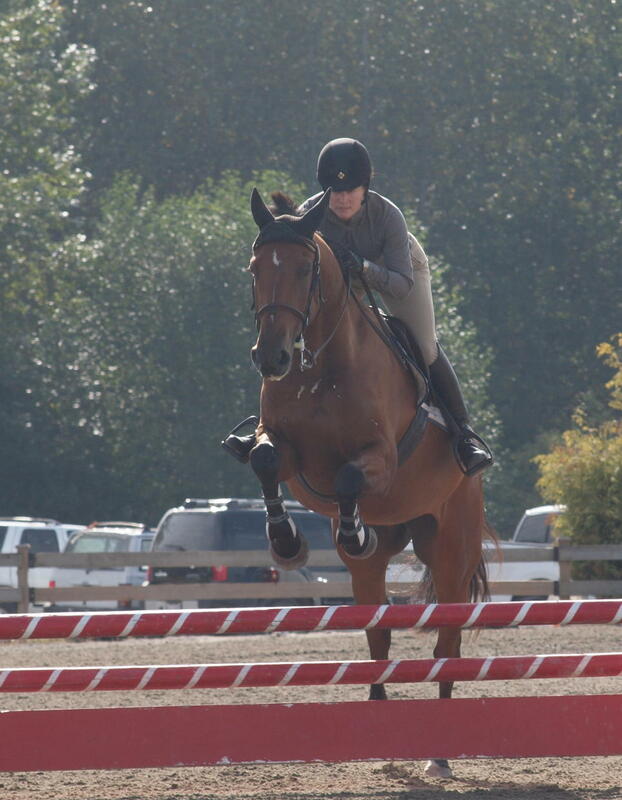 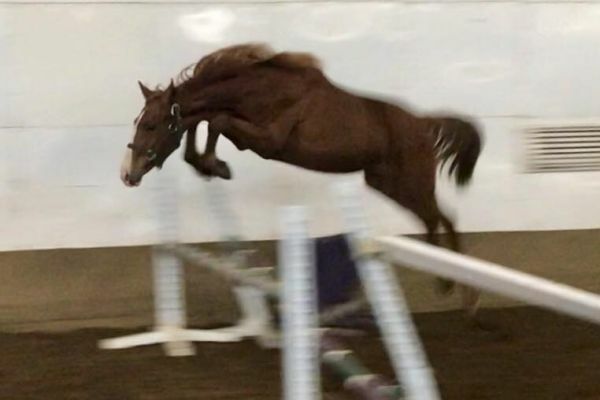 Tempranillo has proven that he is a simple to ride horse who is very brave and jumps in great form. 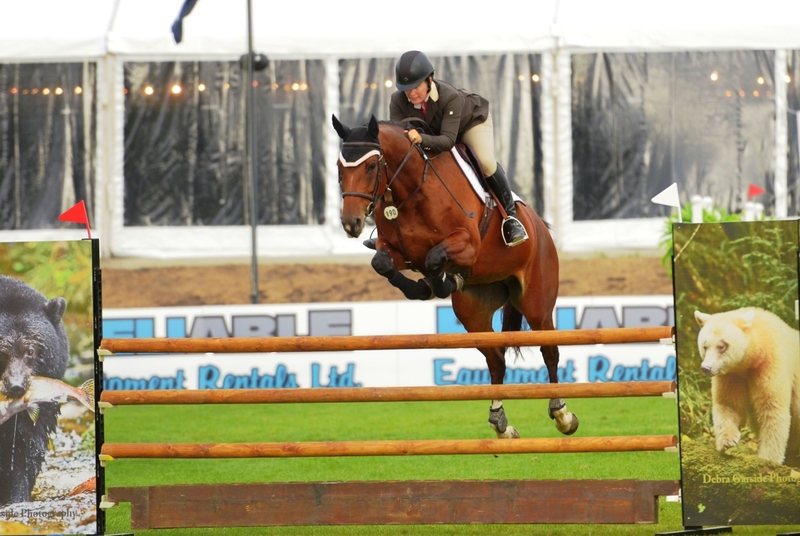 After having success up to 1.40m he was then ridden by an Amateur and proved to be very forgiving of mistakes and yet careful. He was reserve champion 1.30m at Thunderbird, as well as jumping around the feature Grand Prix the next week with only one rail. 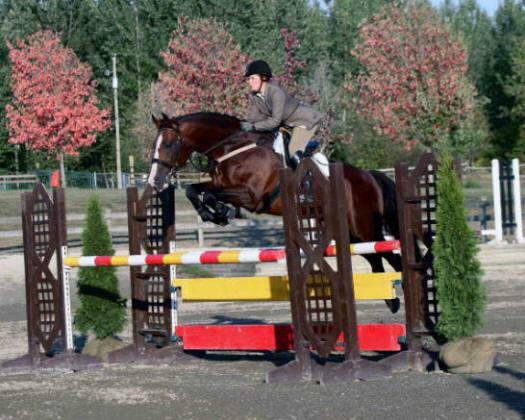 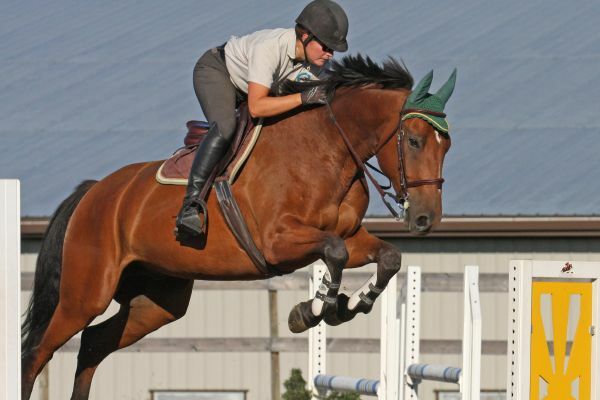 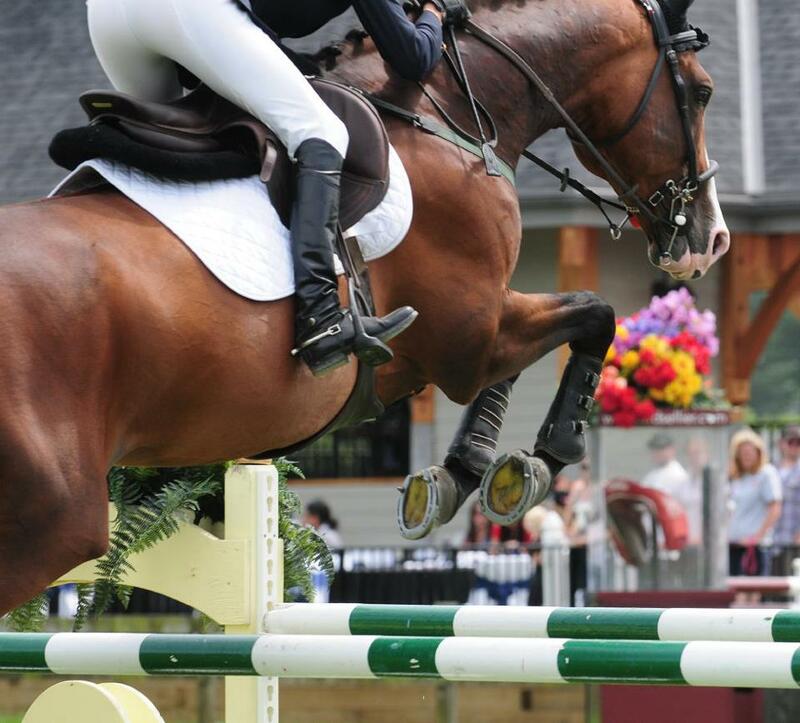 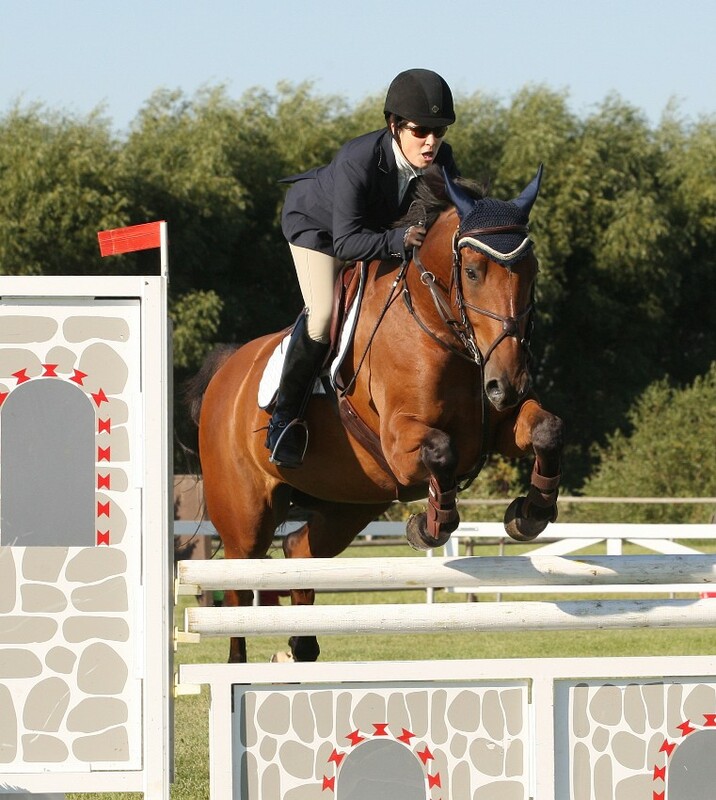 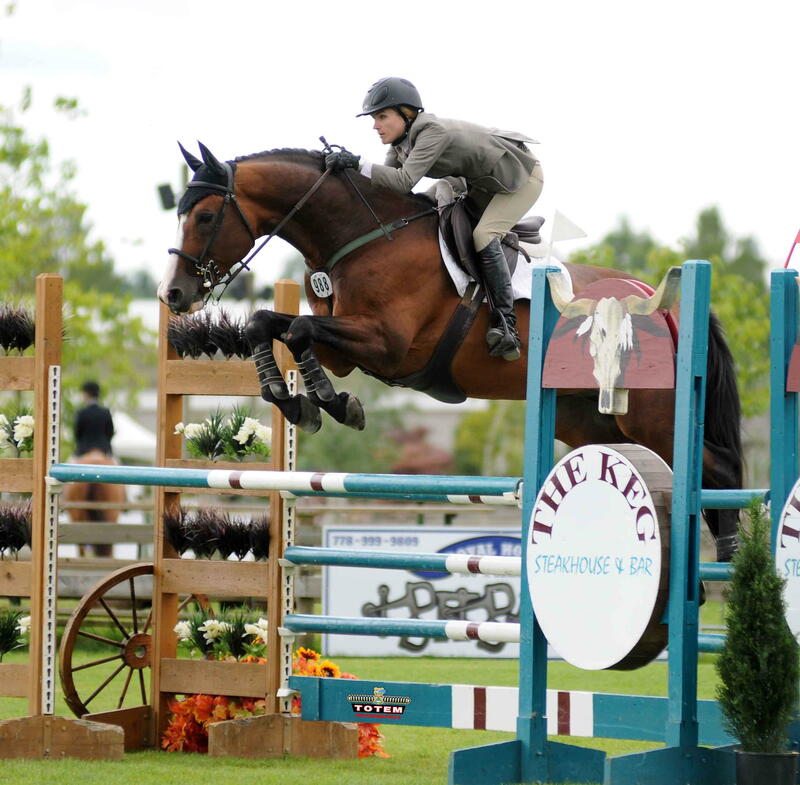 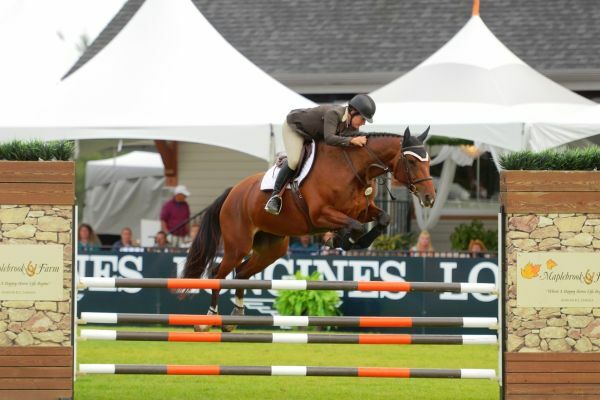 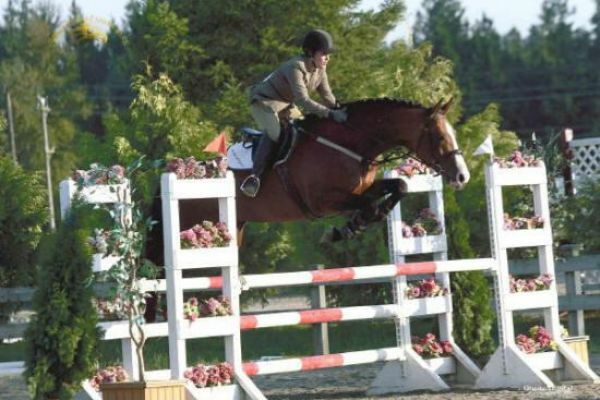 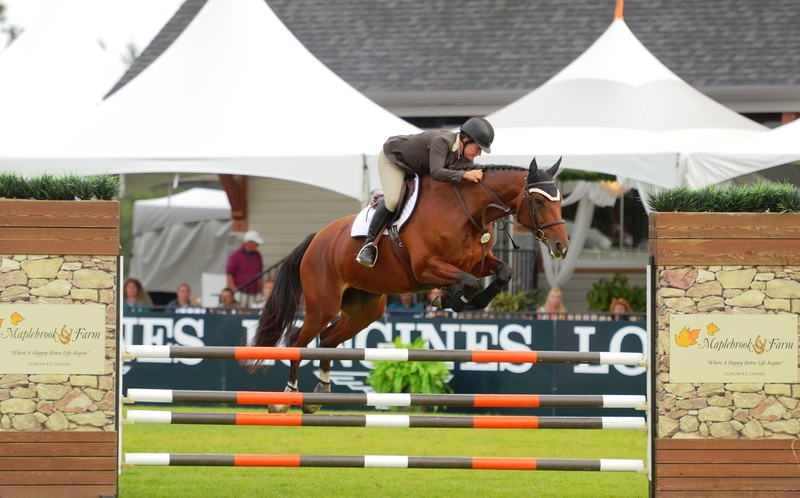 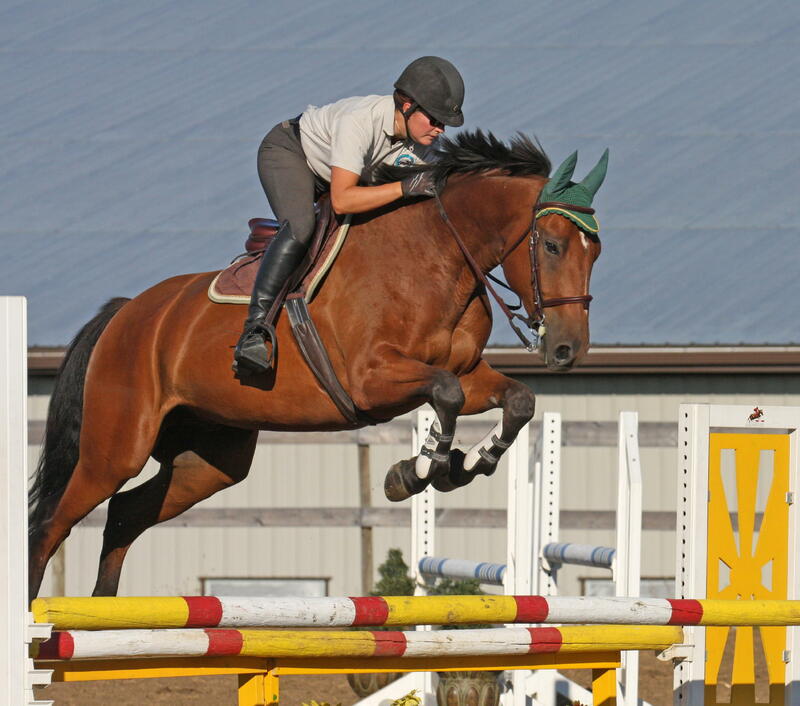 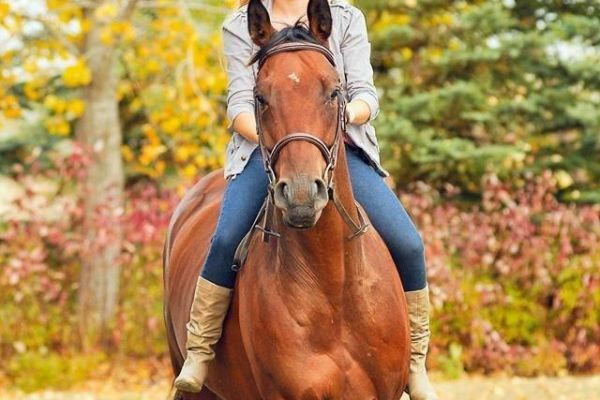 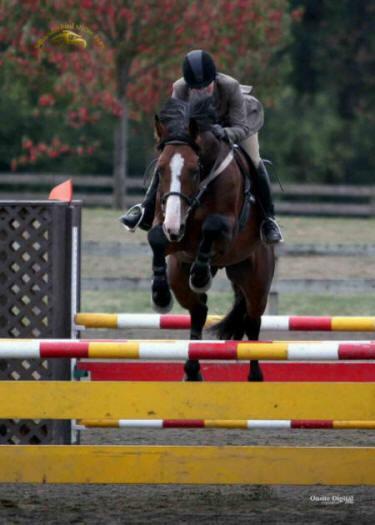 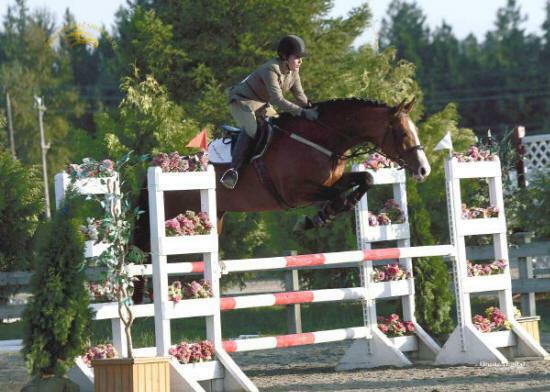 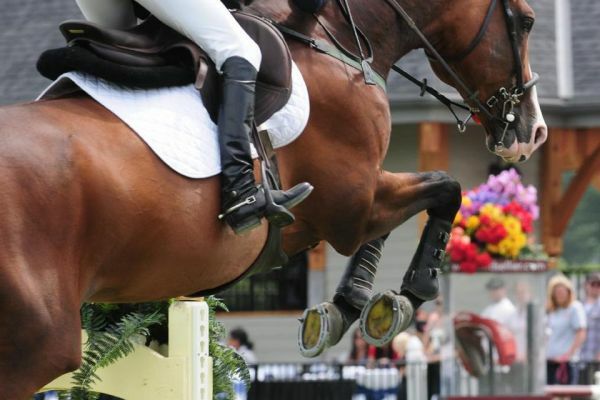 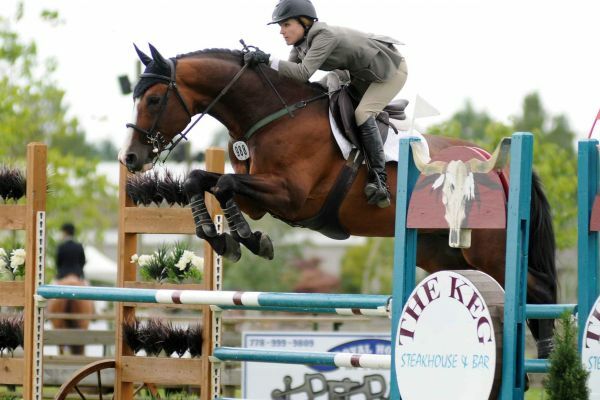 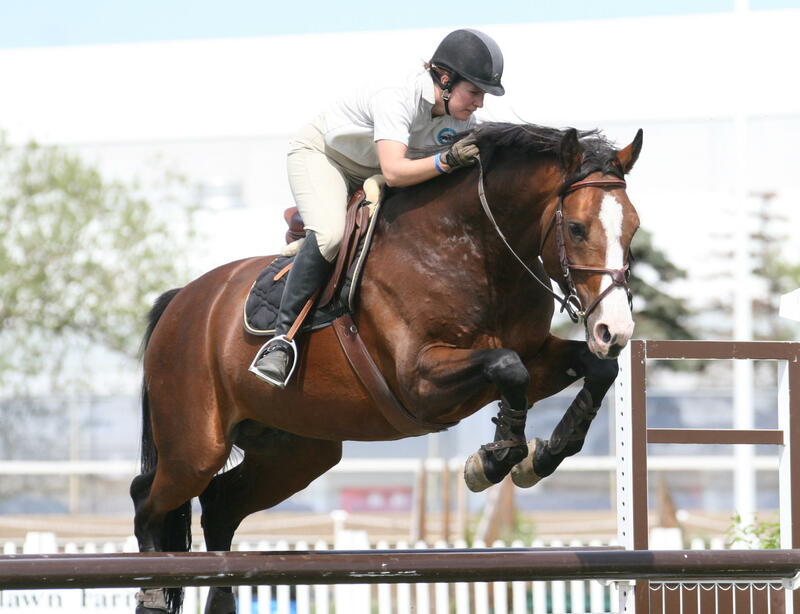 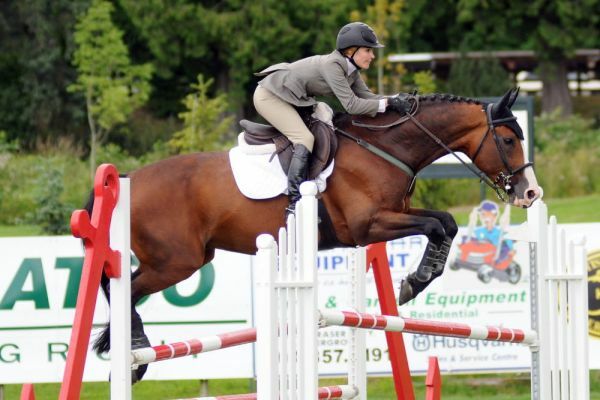 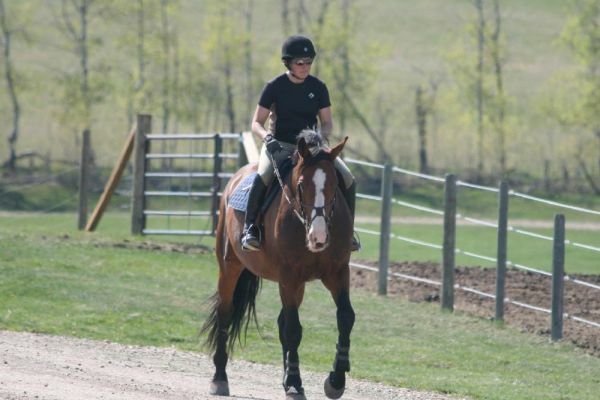 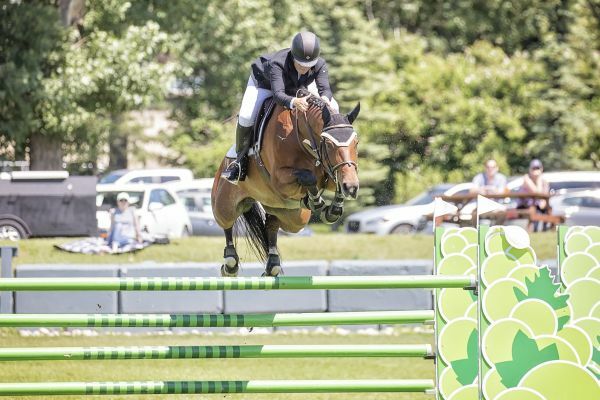 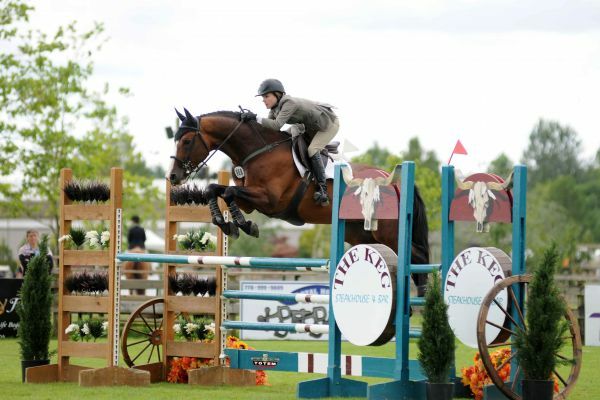 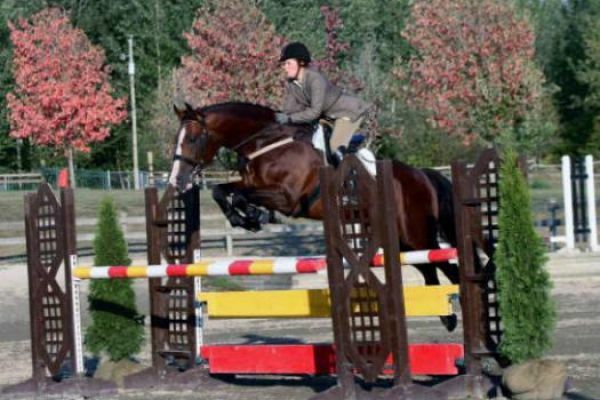 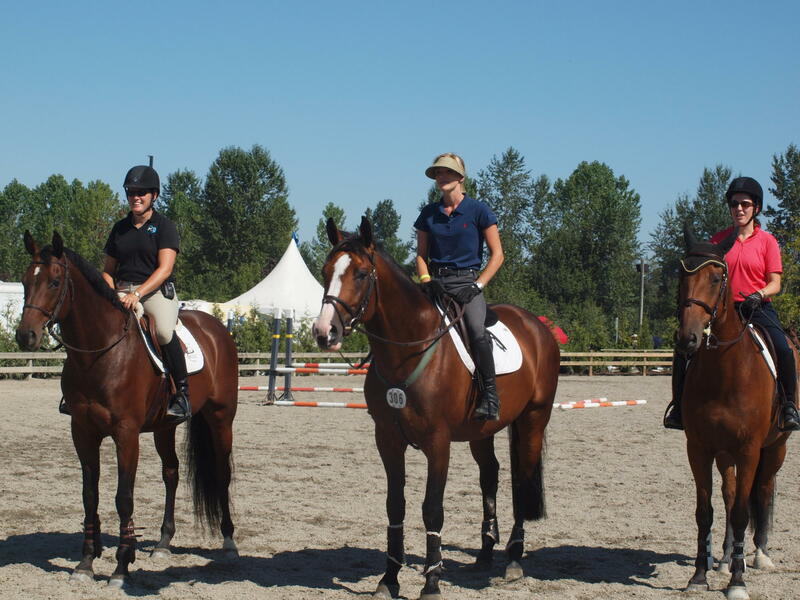 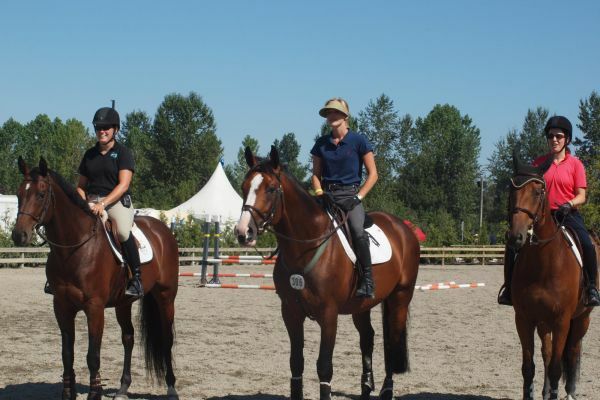 He is very confident about his job and loves to take care of his amateur rider, this great feature he consistently passes on to his offspring. 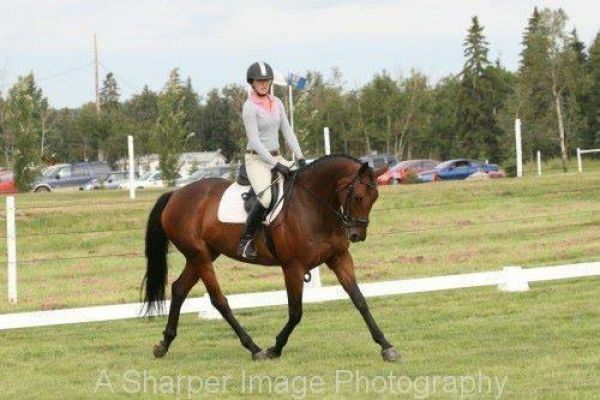 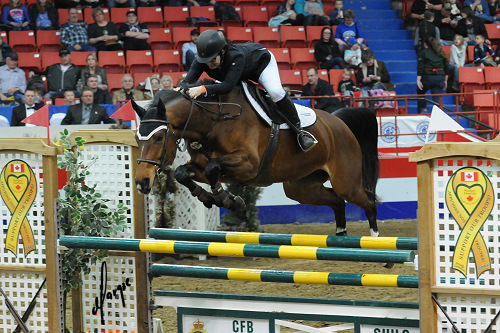 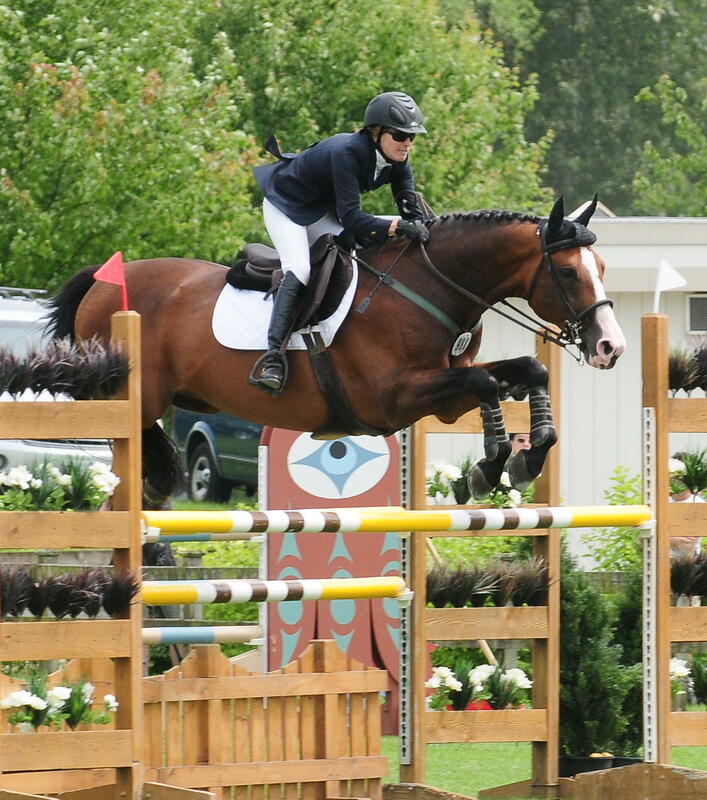 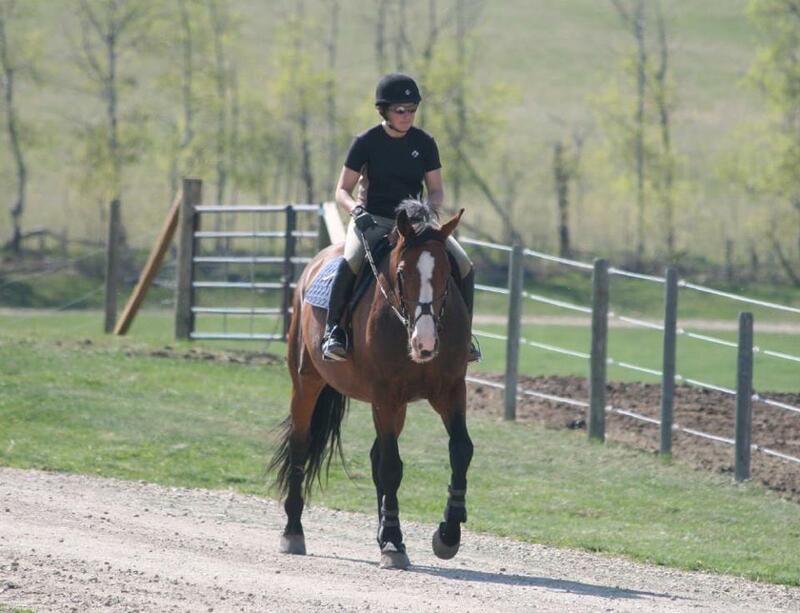 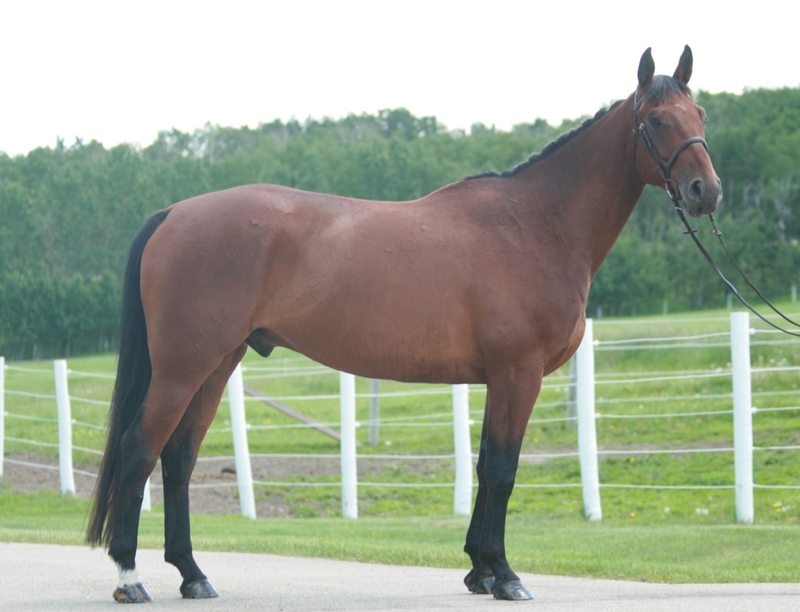 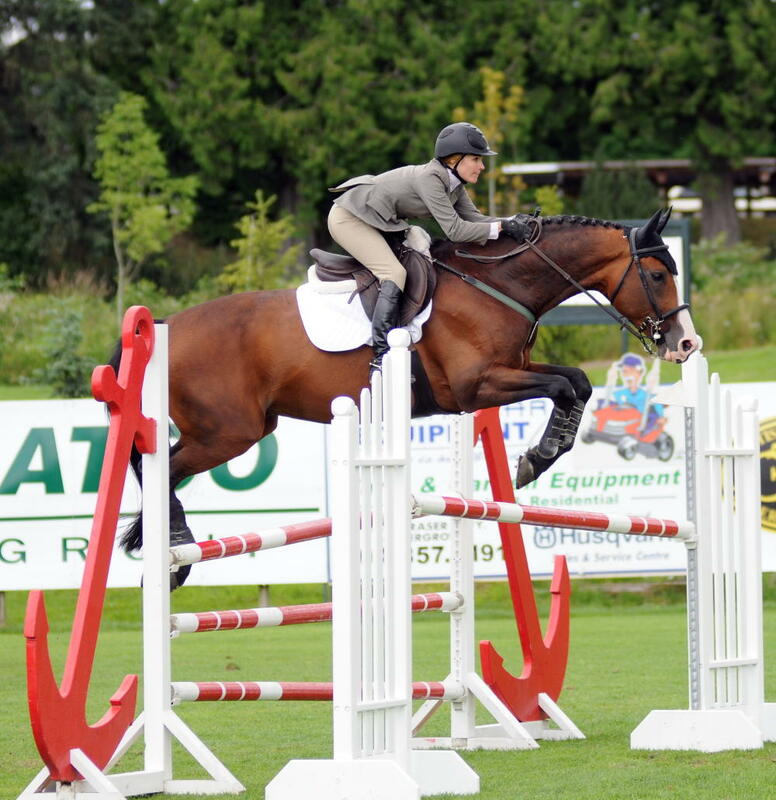 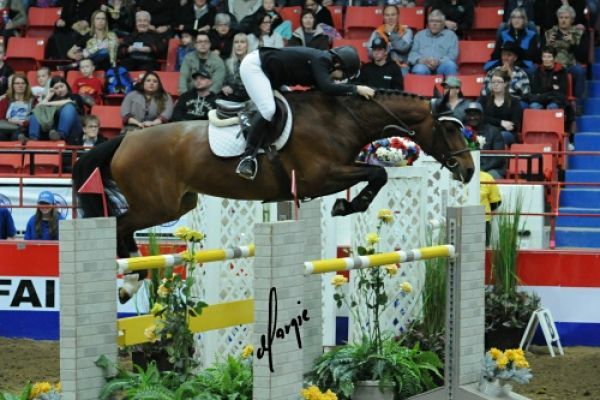 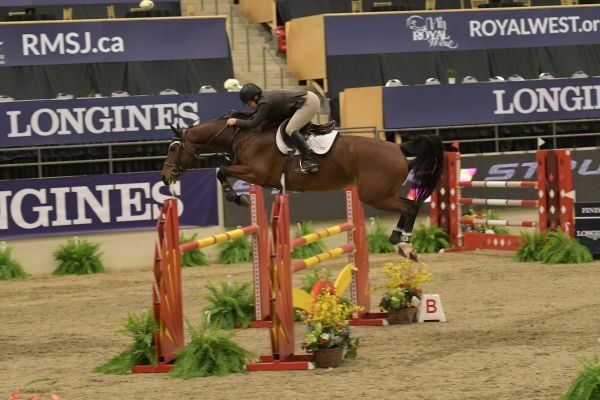 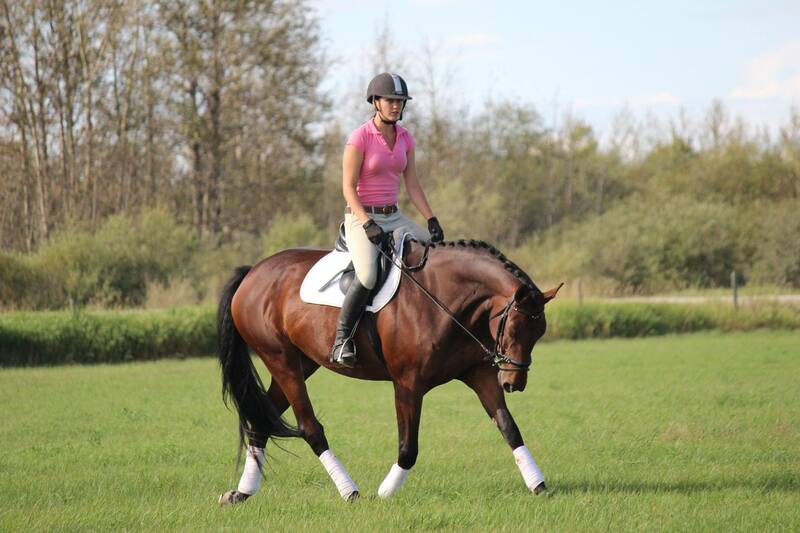 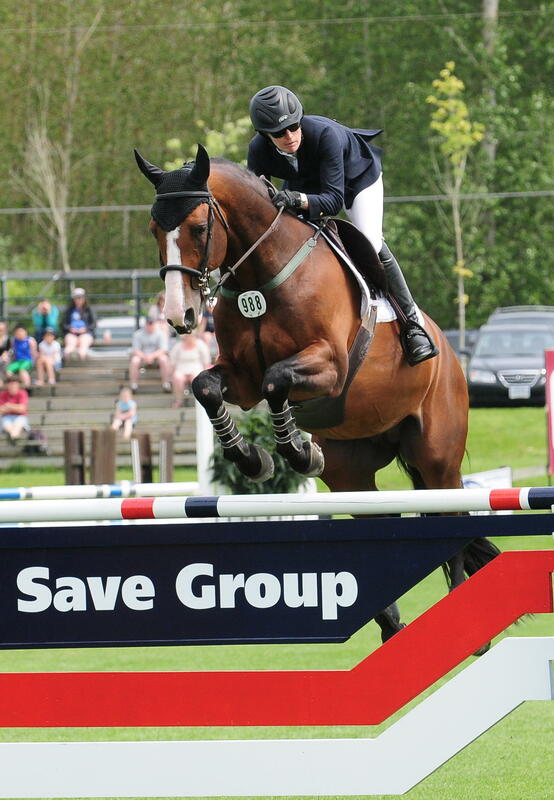 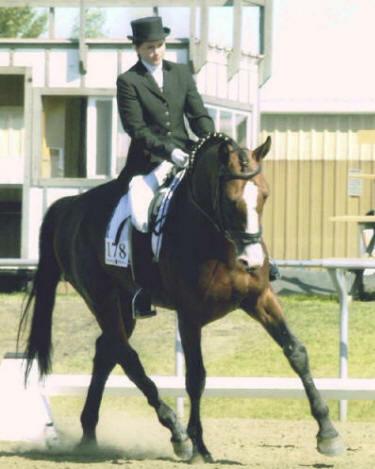 Tempranillo as a five year old competed in the FEI 5 year old division in the dressage ring and proved that he had the ability to be a top competitor when he delivered a high score of 82% one of the highest scores in all of Canada that year! 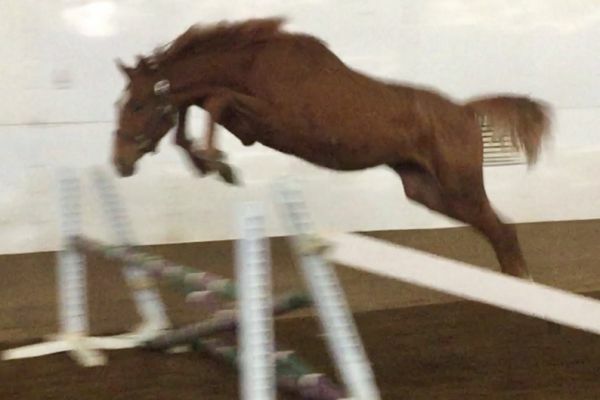 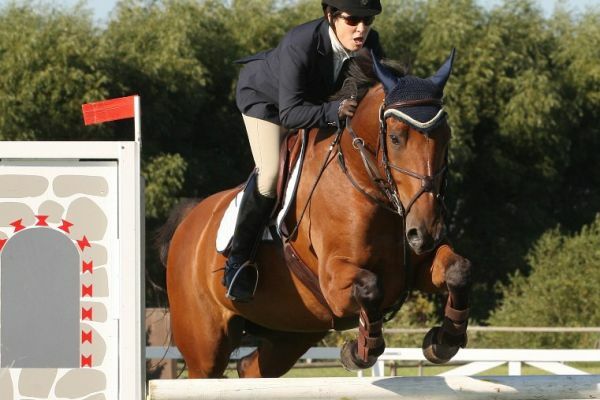 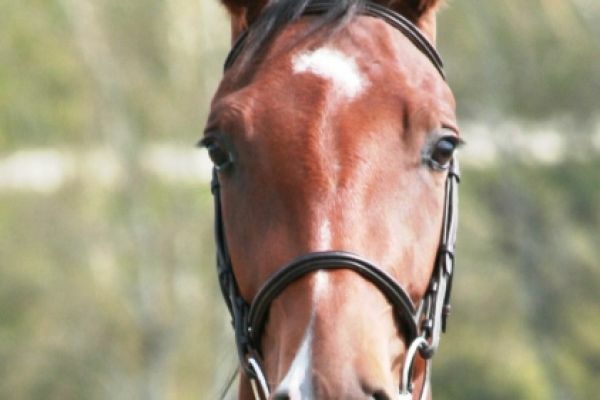 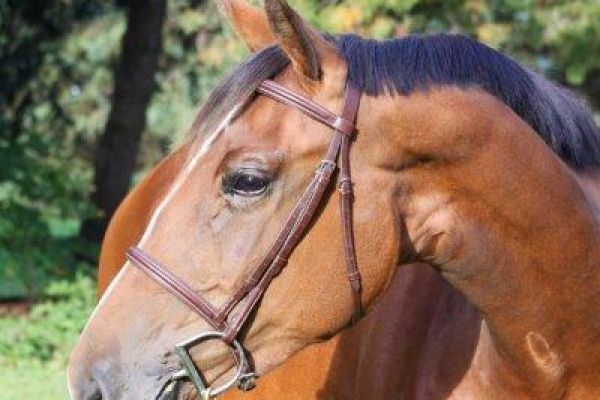 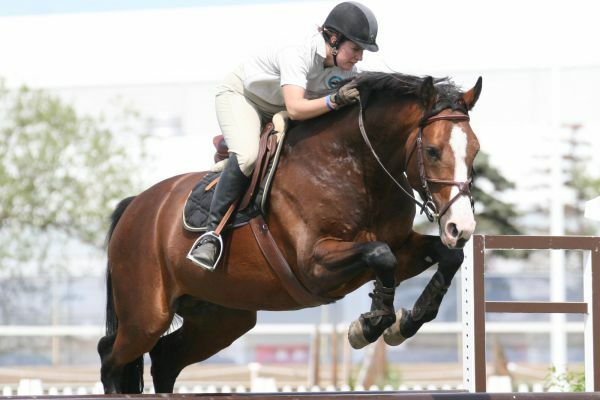 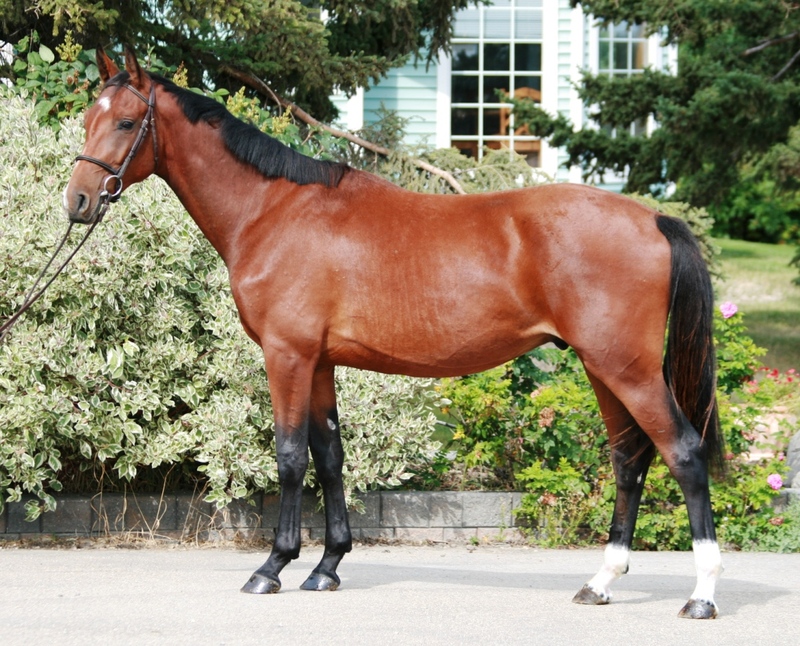 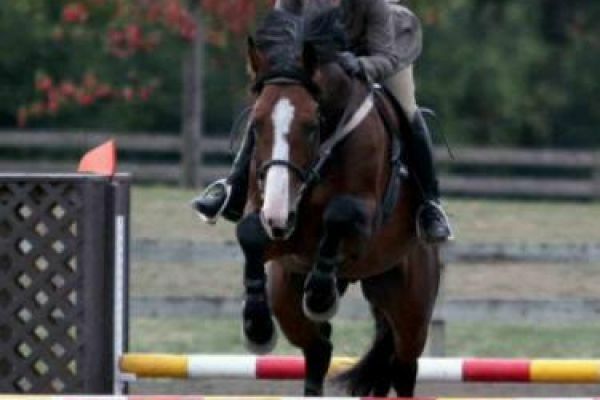 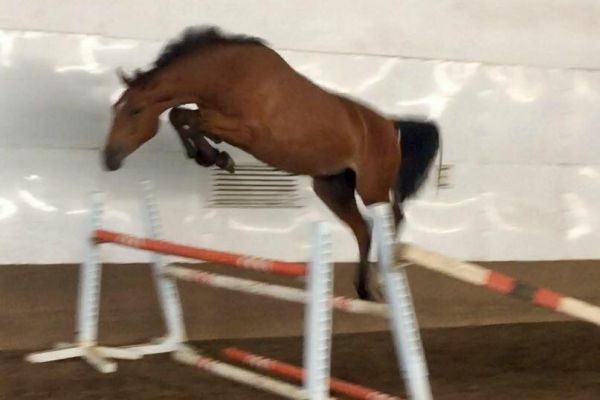 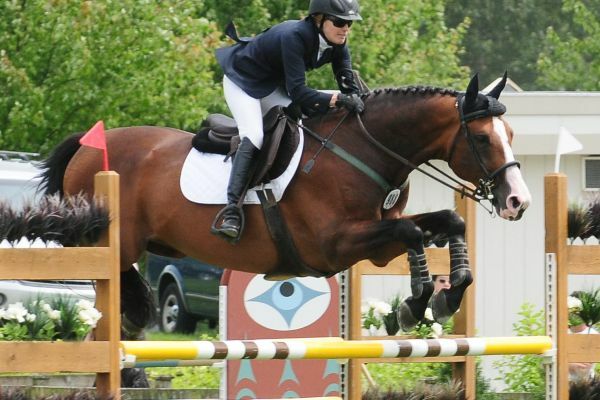 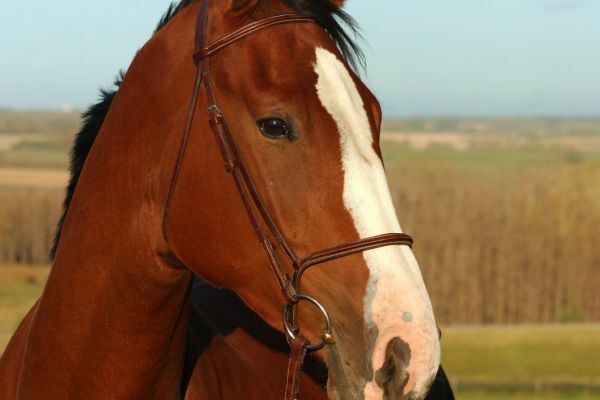 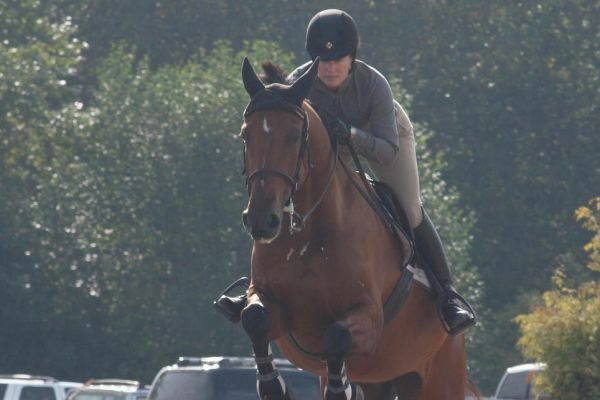 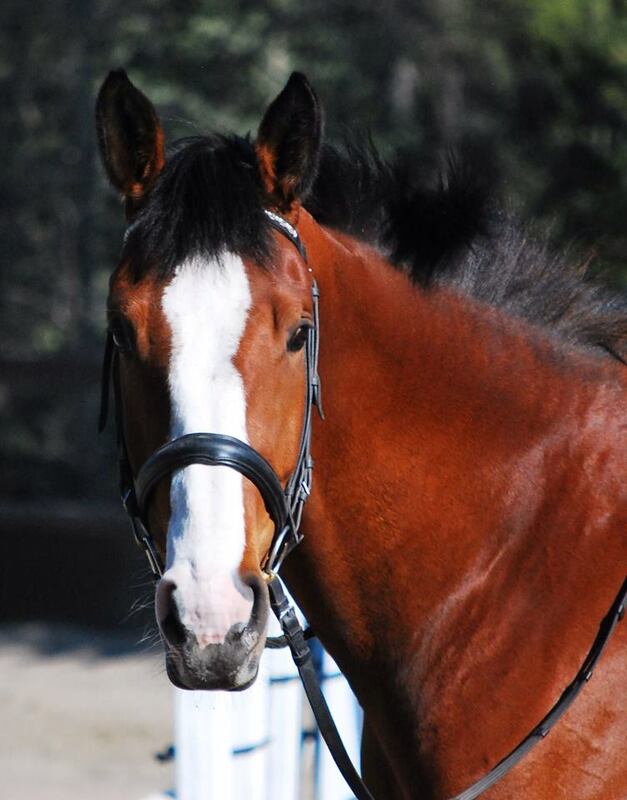 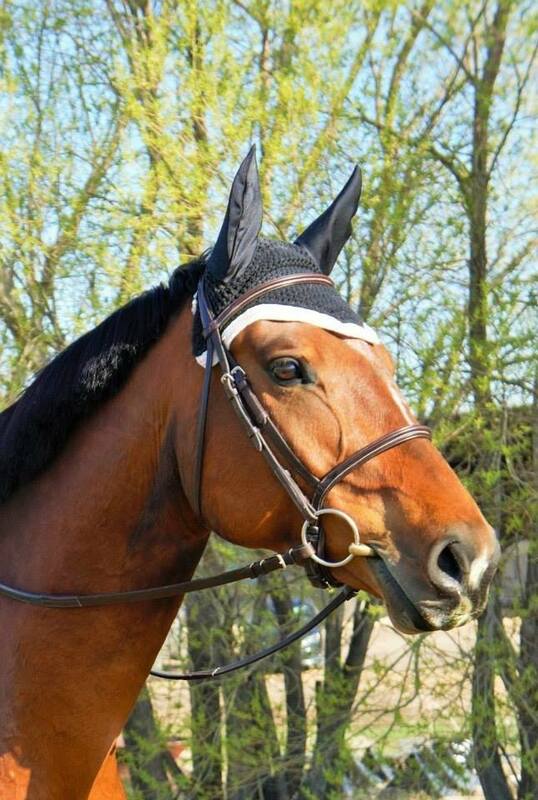 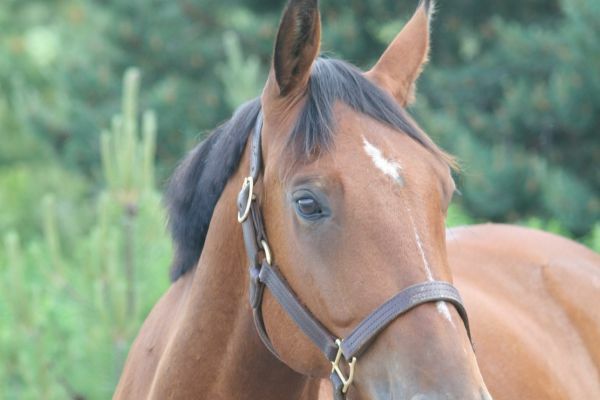 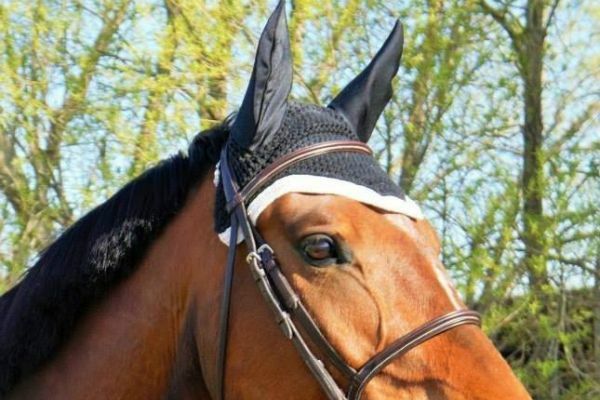 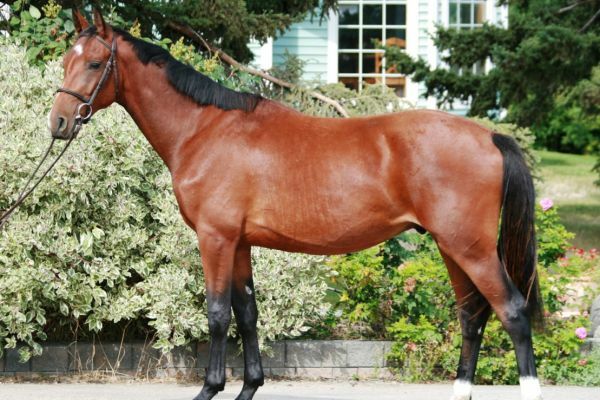 He has proven that he has the ability to be a top dressage horse and jumper and with his flawless technique and super quiet temperament would also excel in the hunter ring. 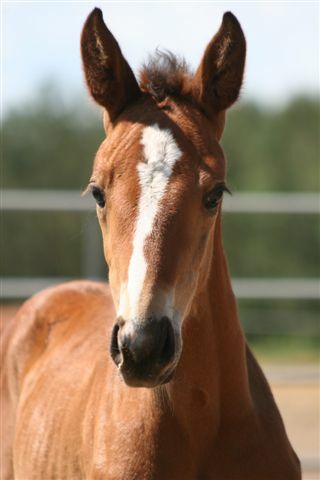 Tempranillo's offspring are proving to be just like their father, very self assured and loving of attention. 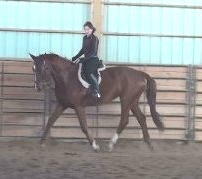 He adds length of leg and over all scope to his offspring with more suspension in the gaits and incredible jumping ability. 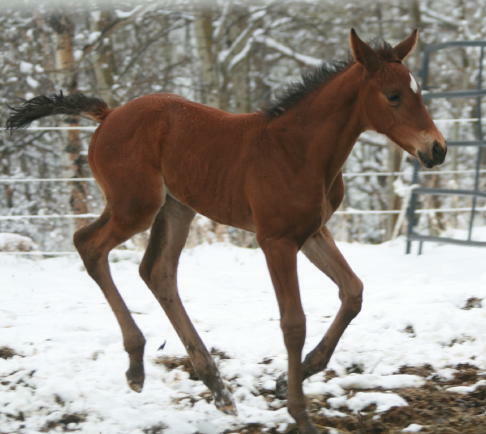 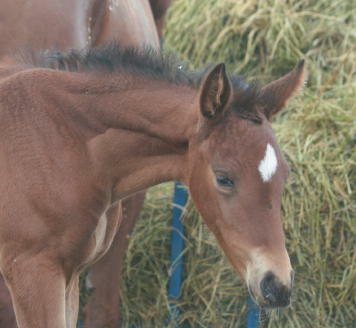 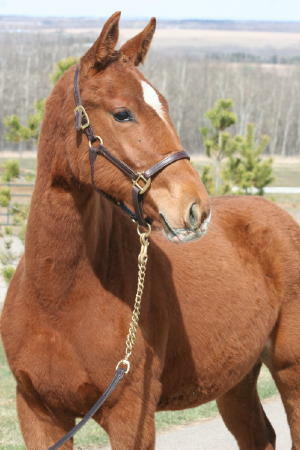 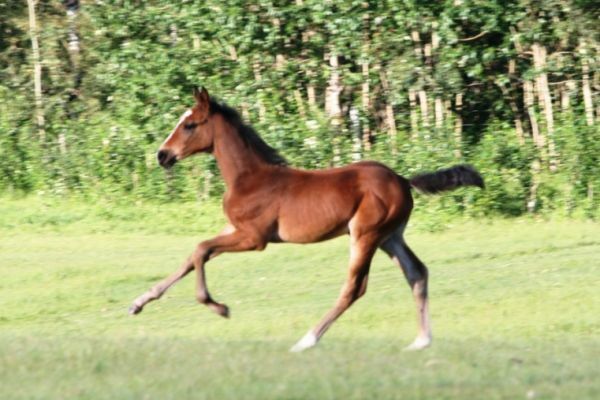 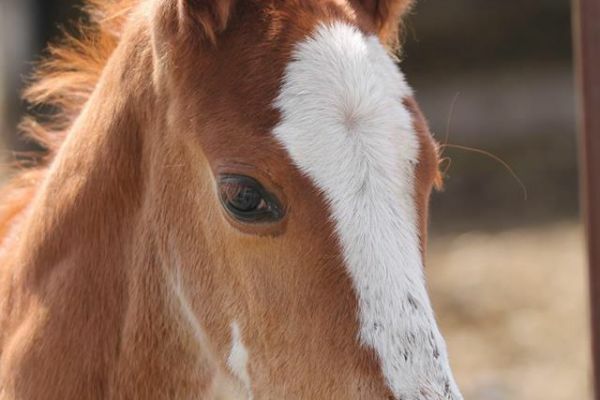 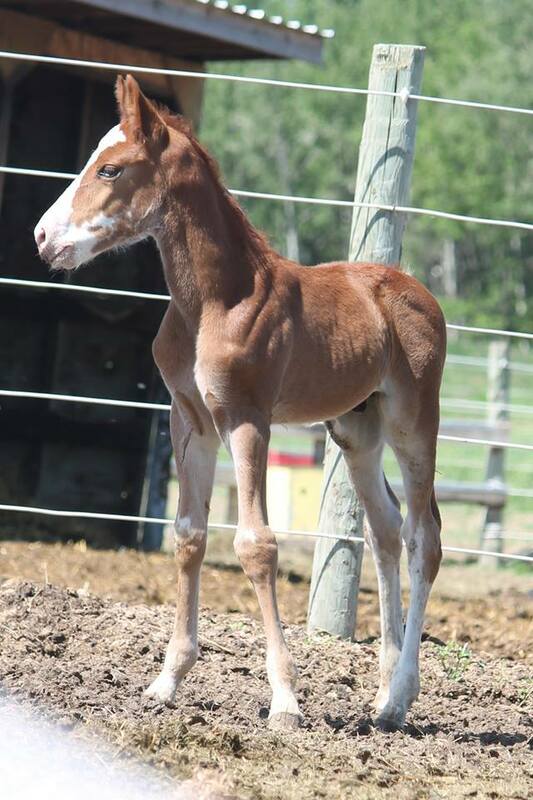 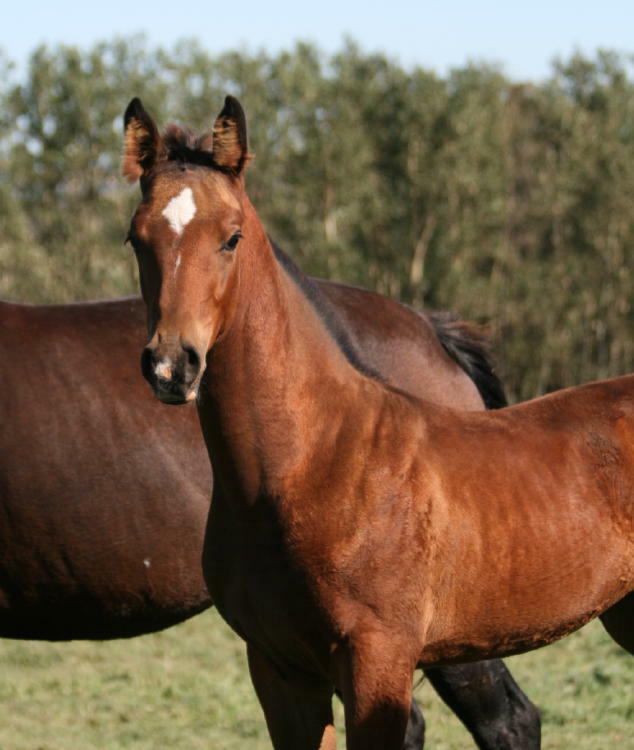 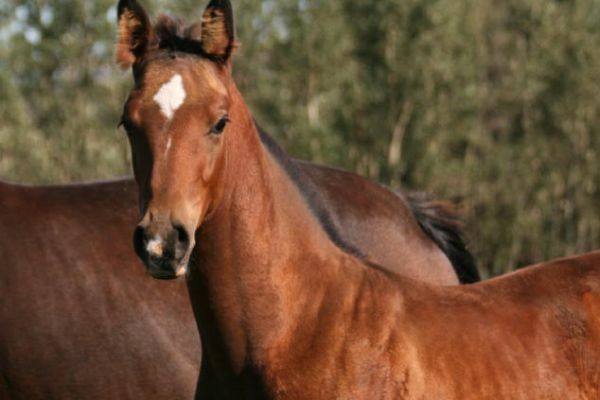 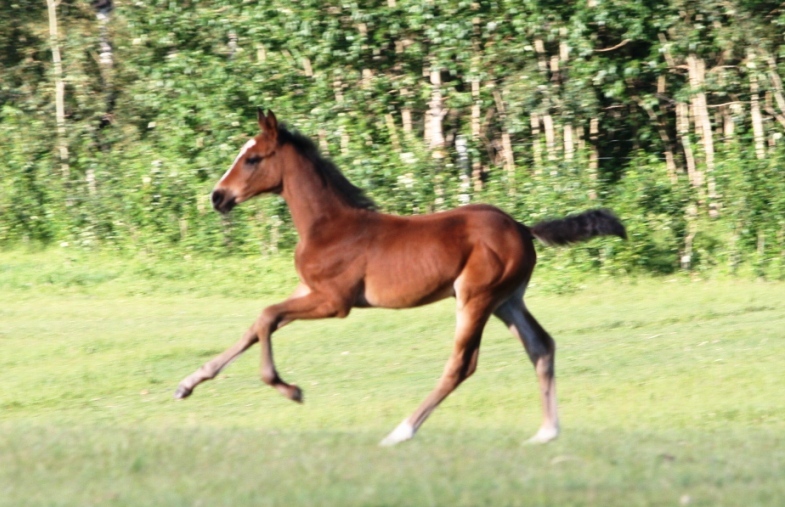 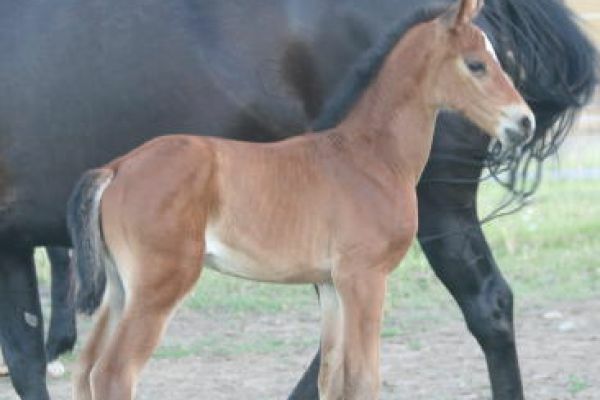 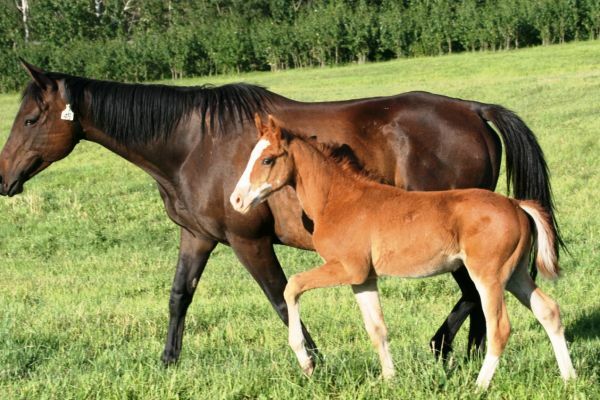 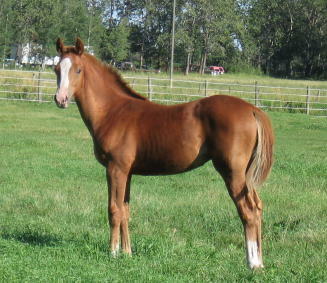 Starting his offspring is a pleasure they have the confidence of a broke horse with good trainability and work ethics. 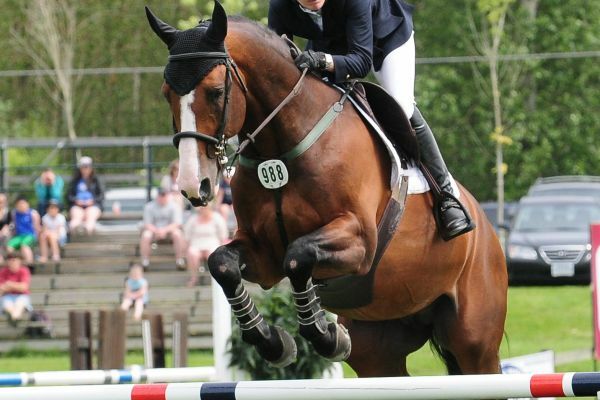 He is the sire of our own top GP mare Elle Carrera who is having success to the 1.45m so far at just 8 years old, this mare has everything needed to be a top international horse, ultra careful, fast with big scope and the heart of a lion, she has won numerous classes at every stage of her career. 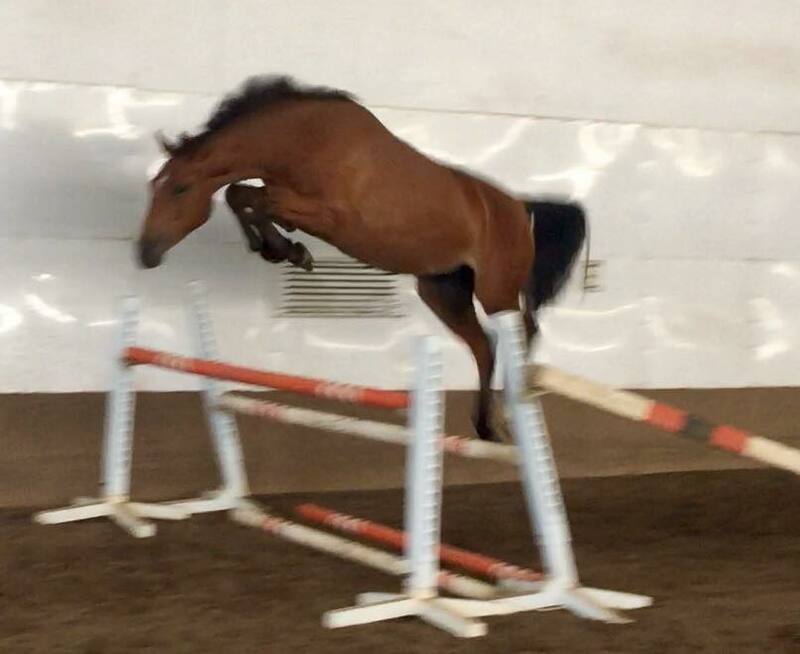 He has several other offspring moving up the levels or winning with their amateur owners at all levels, they are brave and jump in excellent form. 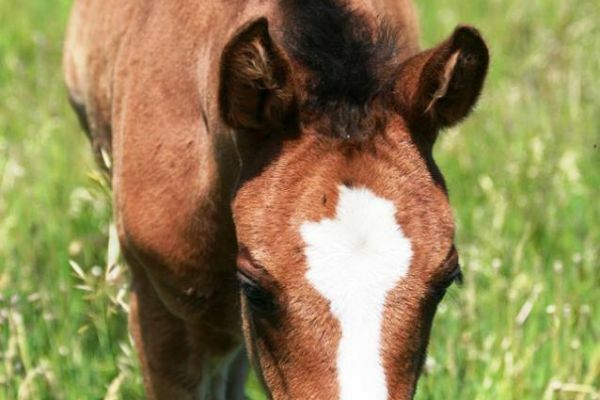 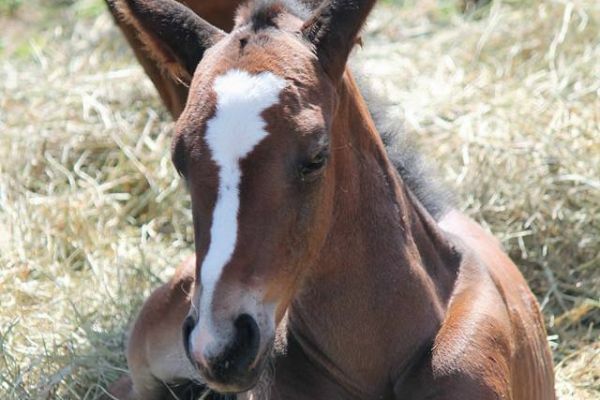 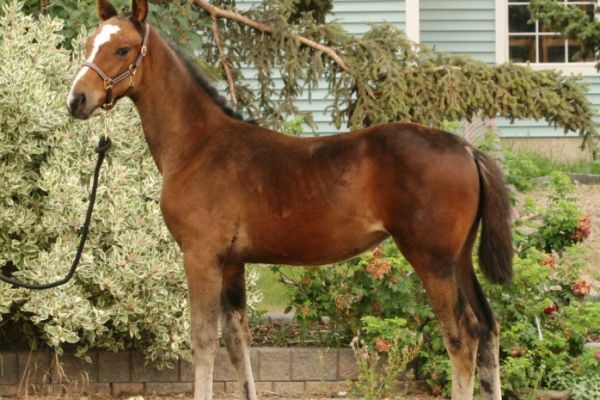 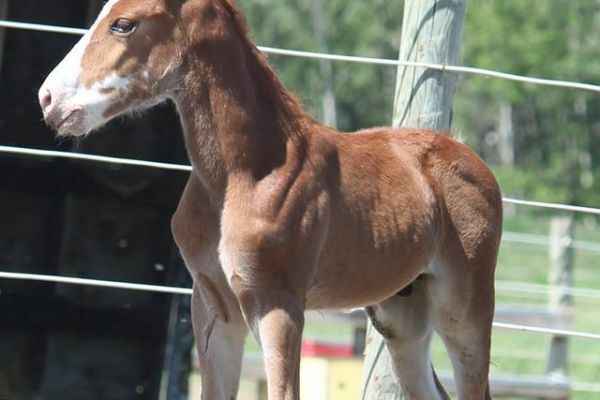 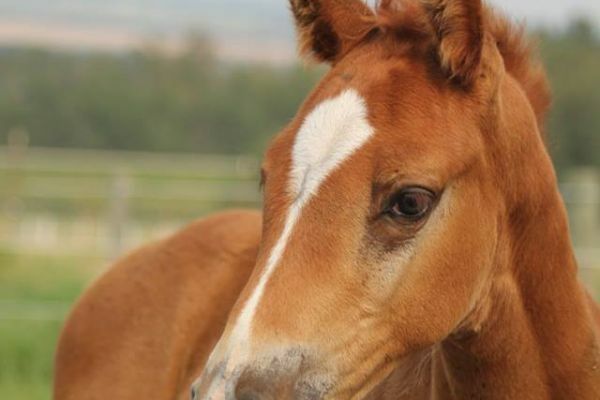 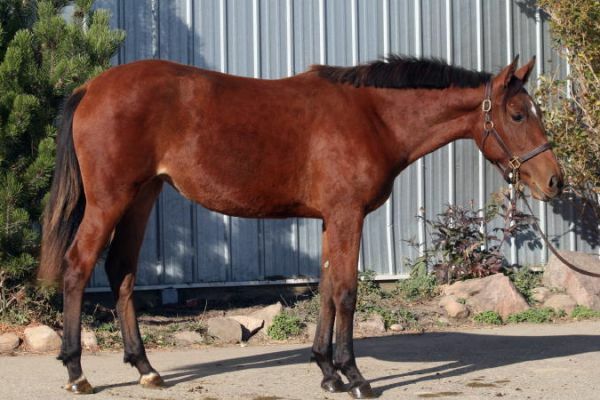 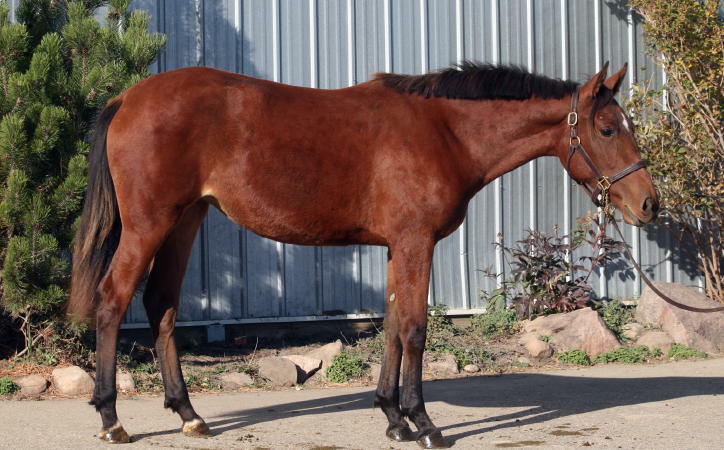 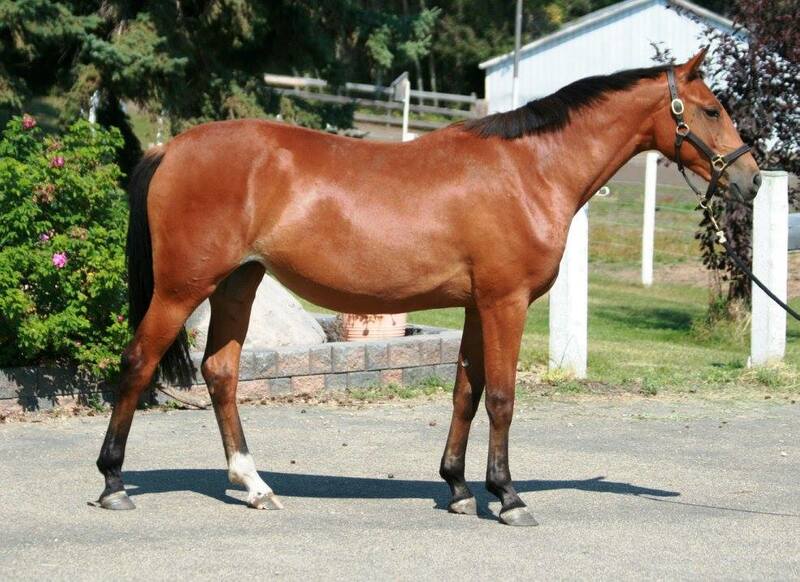 A KVF bred mare Beya Kat has after competing in the young horse finals at 6 become an invaluable broodmare, being the dam of our rising star Hooz Da Kat s.Zeno who at 5 is winning everything at age appropriate heights. 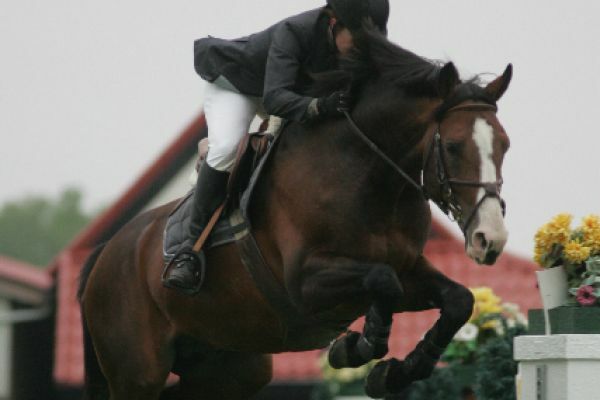 Tempranillo's sire is the 17.1 hh Calvados who jumped at the international level and has many international offspring jumping at Grand Prix level, e.g. 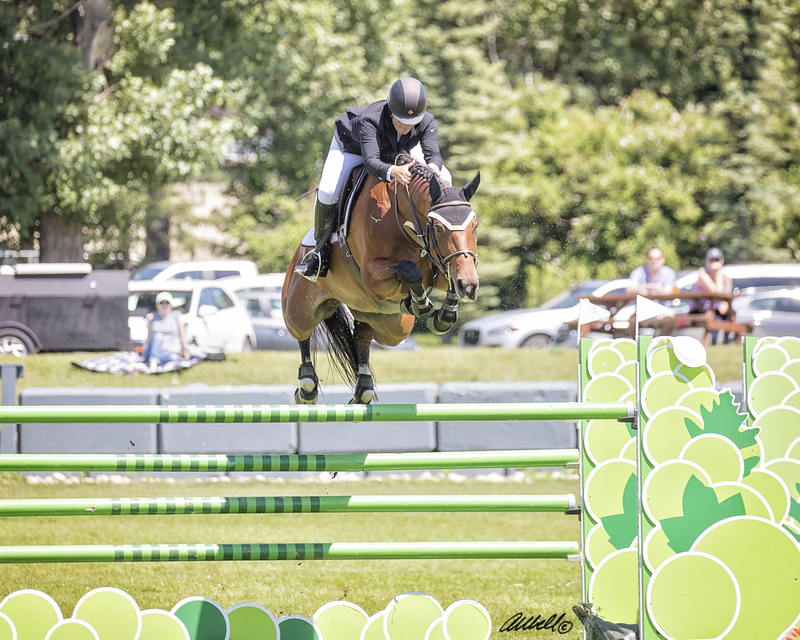 Macanudo's Deniro (Peter Wylde), Royal Future (Allison Firestone), Illussion (Tani Anderson), Silber Bird (Markus Beerbaum) and the list goes on. 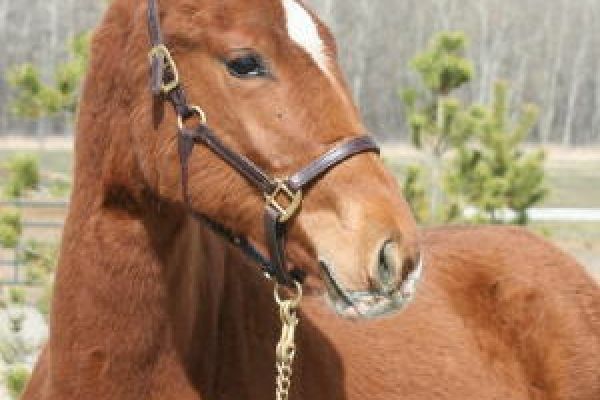 Calvados is one of the few stallions who has earned his "keur" predicate. 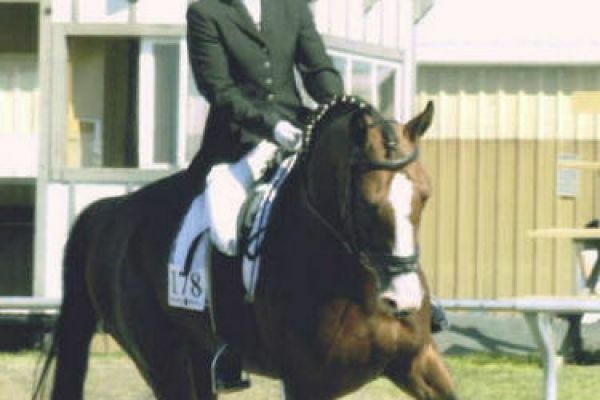 He has this to thank from his above mentioned, world famous children, who won grand prix and world cups. 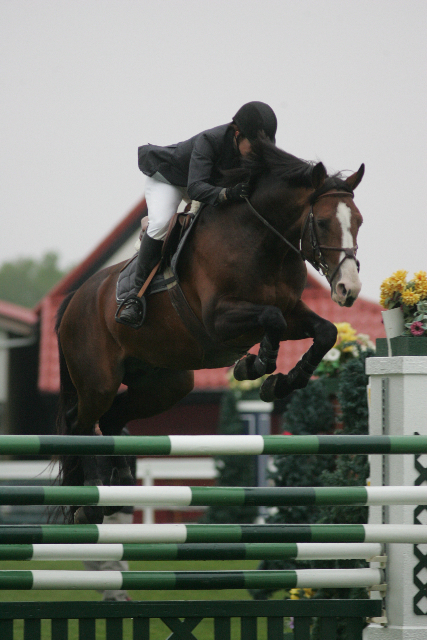 The jumping index of Calvados is extremely high with 152 points.40+ at RMSJ in August. 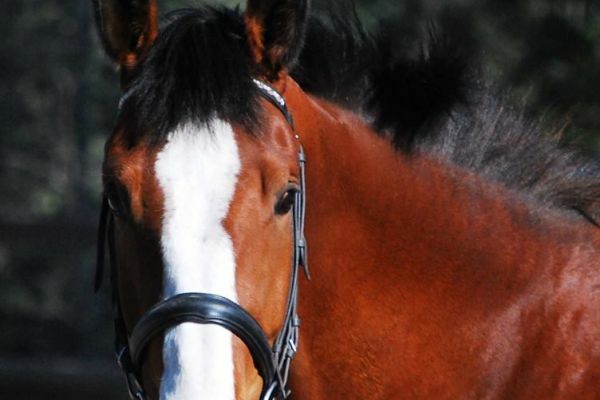 Tempranillo's dam Ilobria has been awarded both her Keur and Pref from the KWPN for her own sport performance and her offspring. 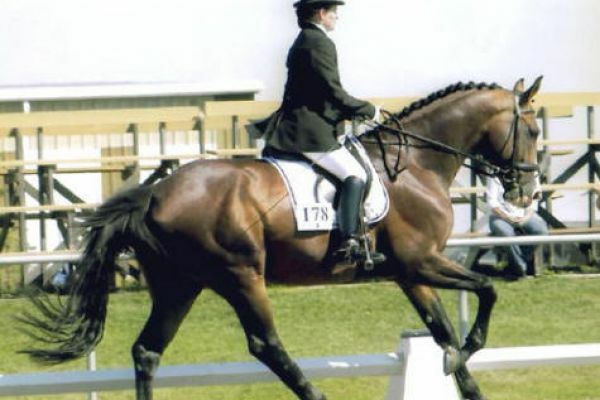 She jumped to 1.30 and up to Z level dressage as well as producing some exceptional offspring. 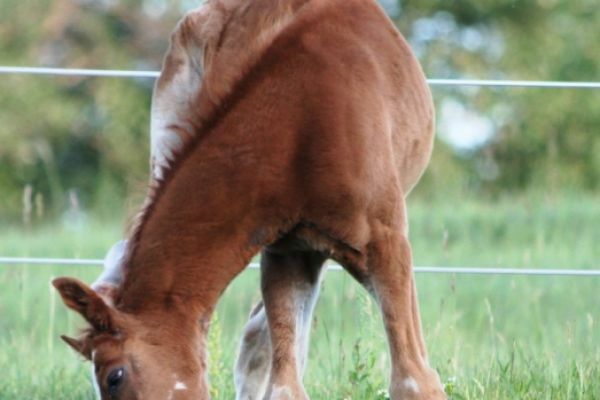 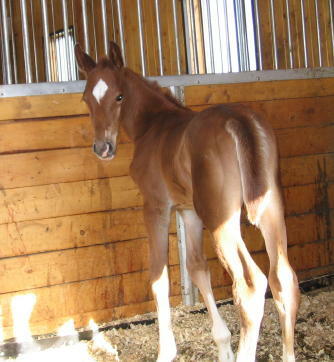 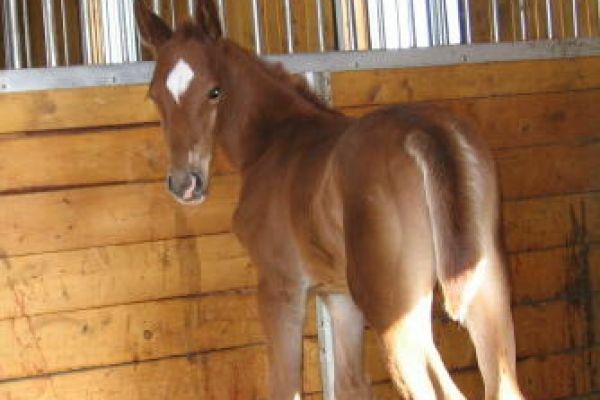 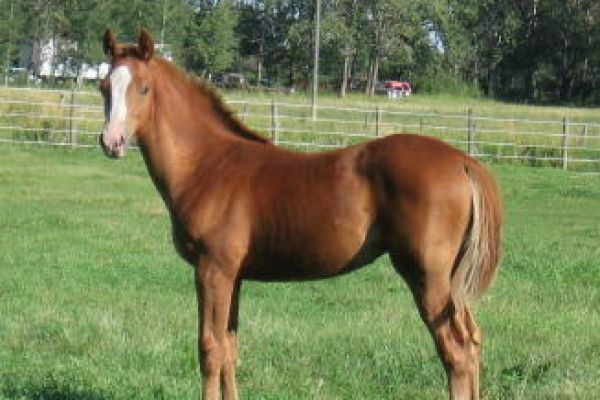 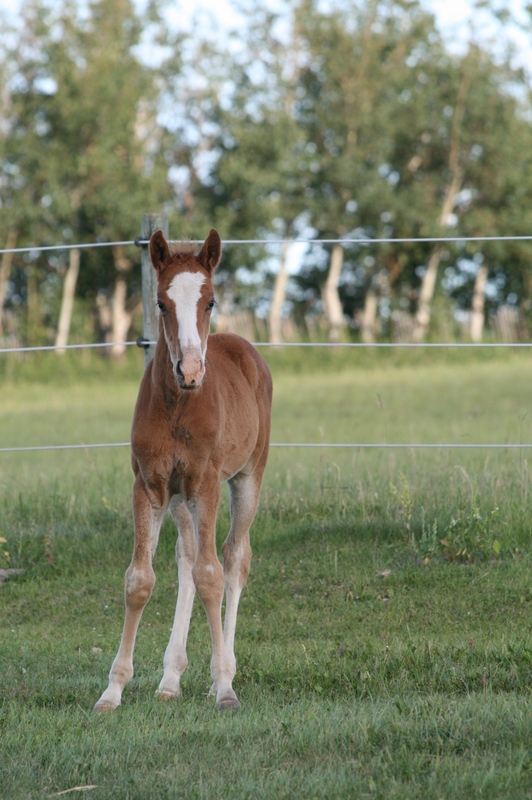 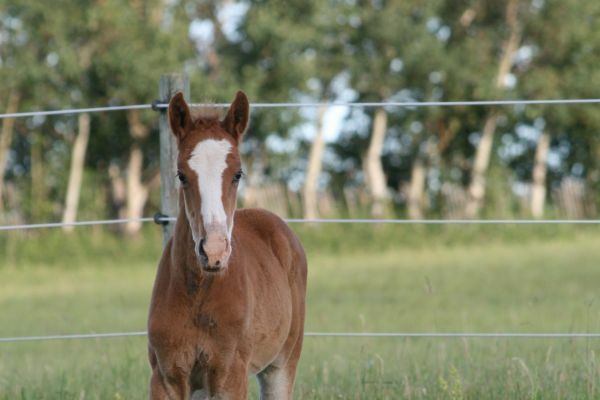 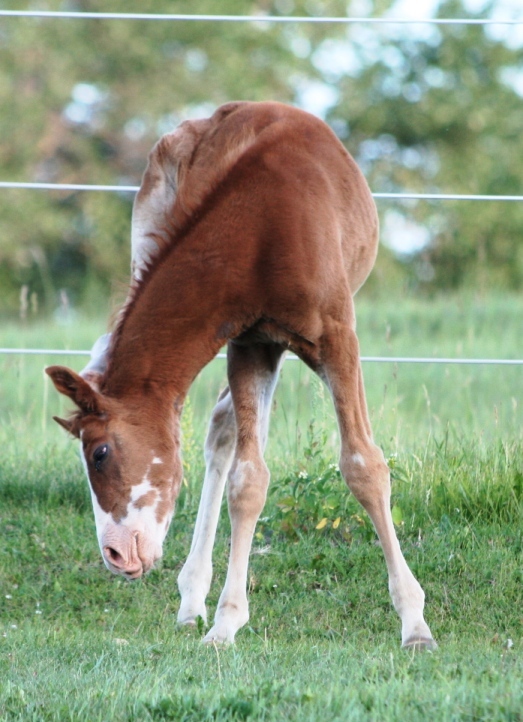 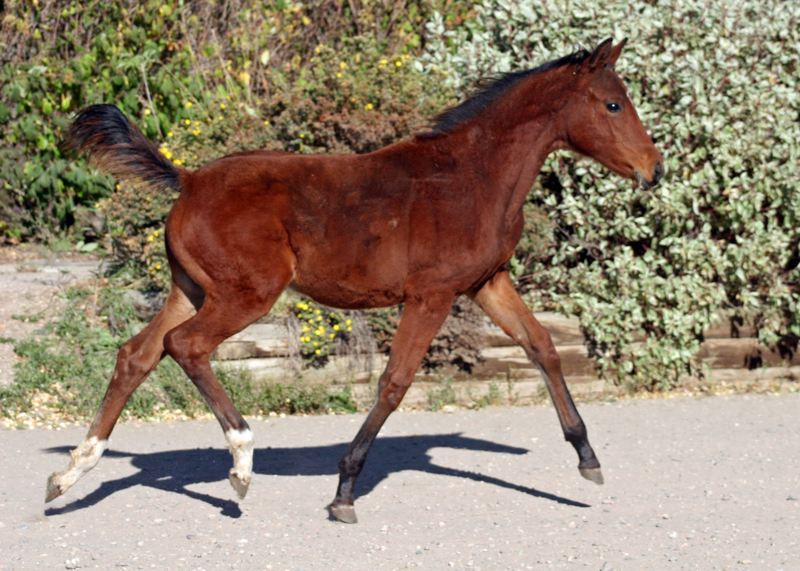 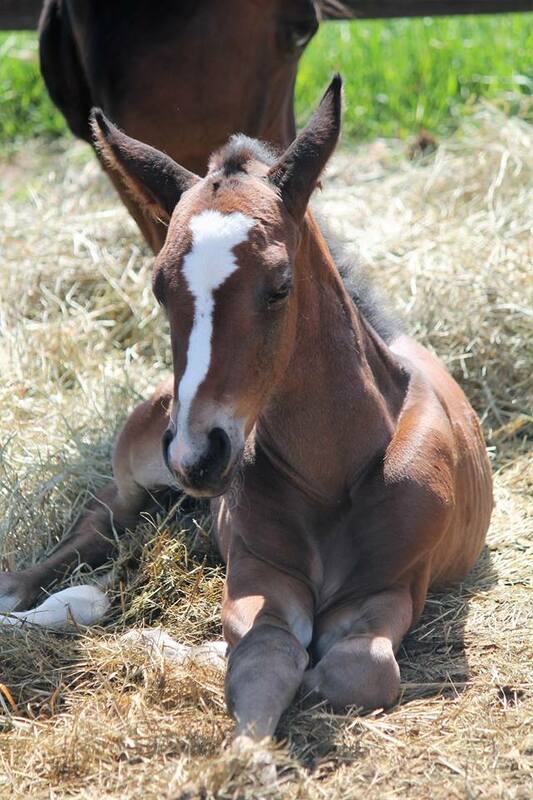 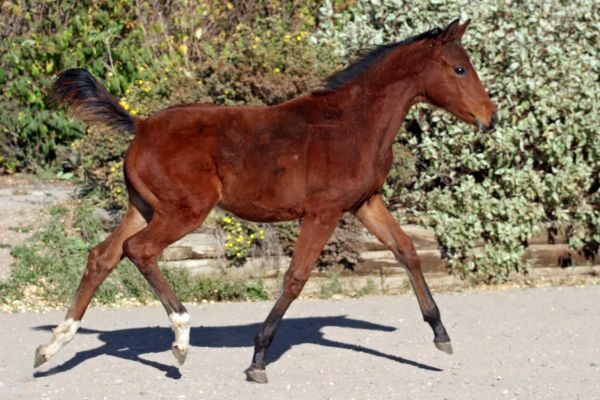 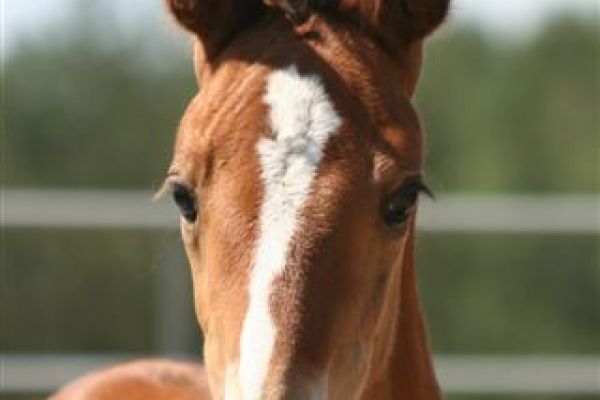 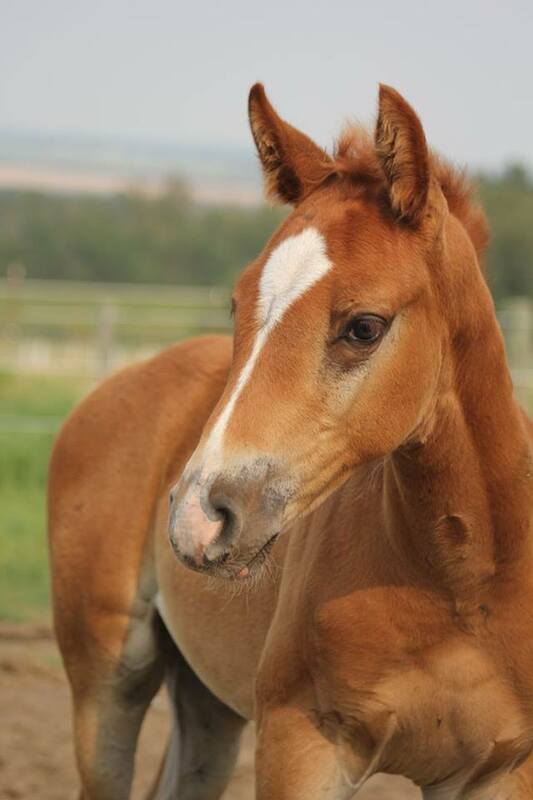 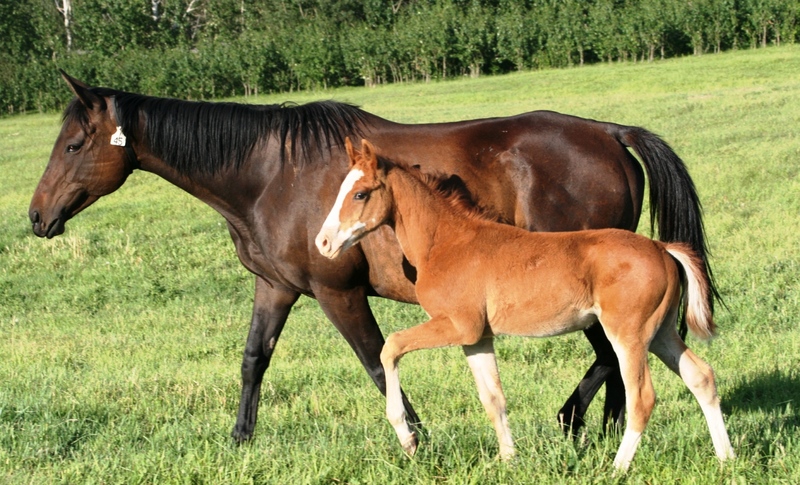 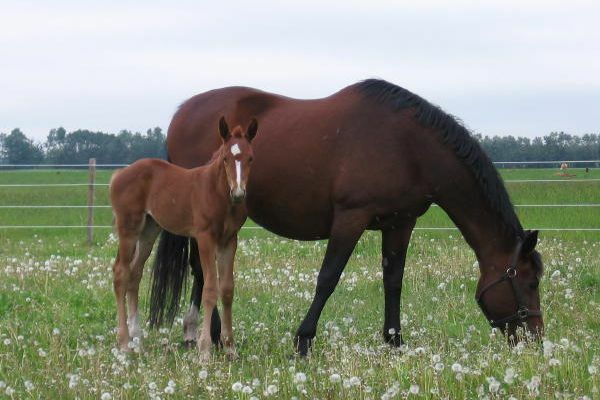 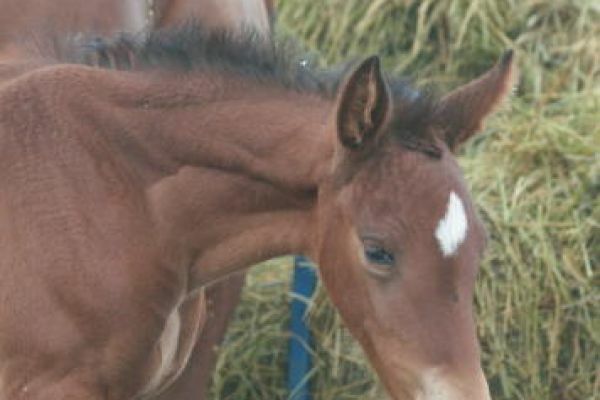 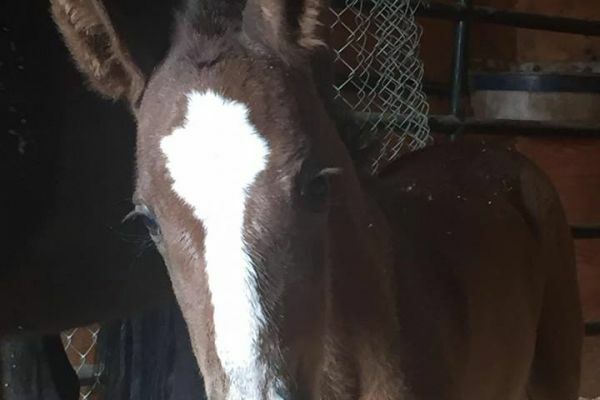 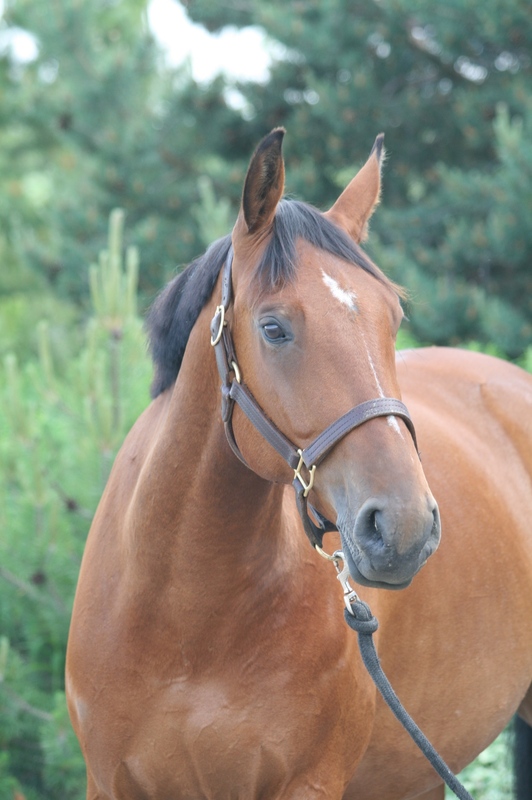 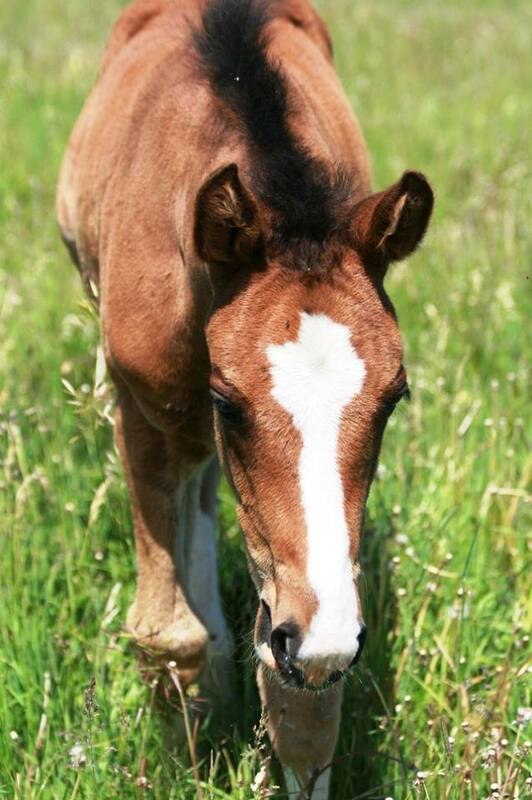 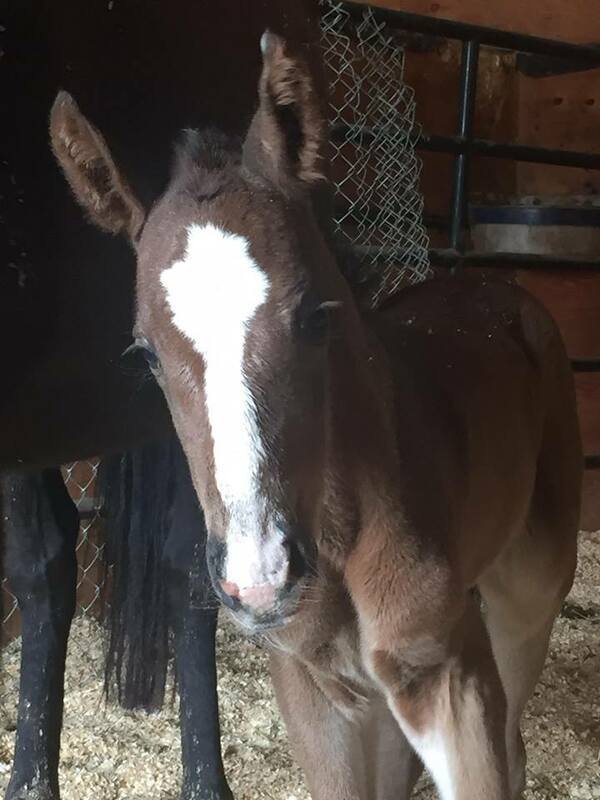 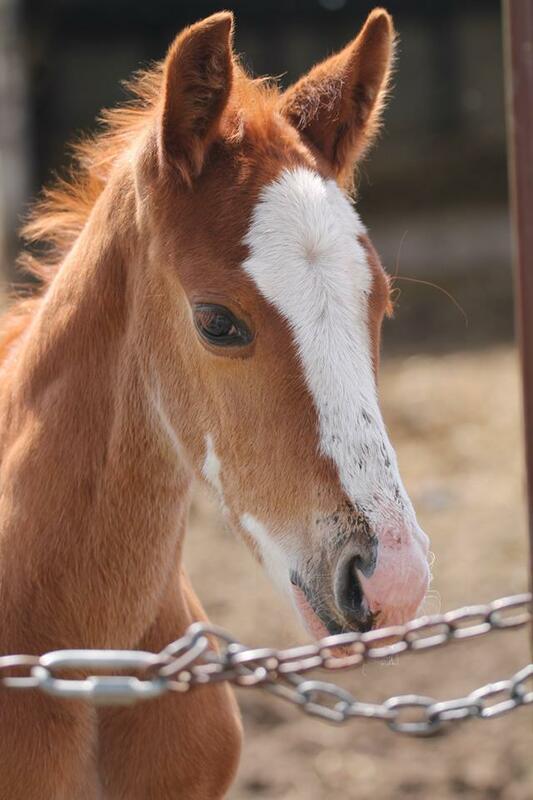 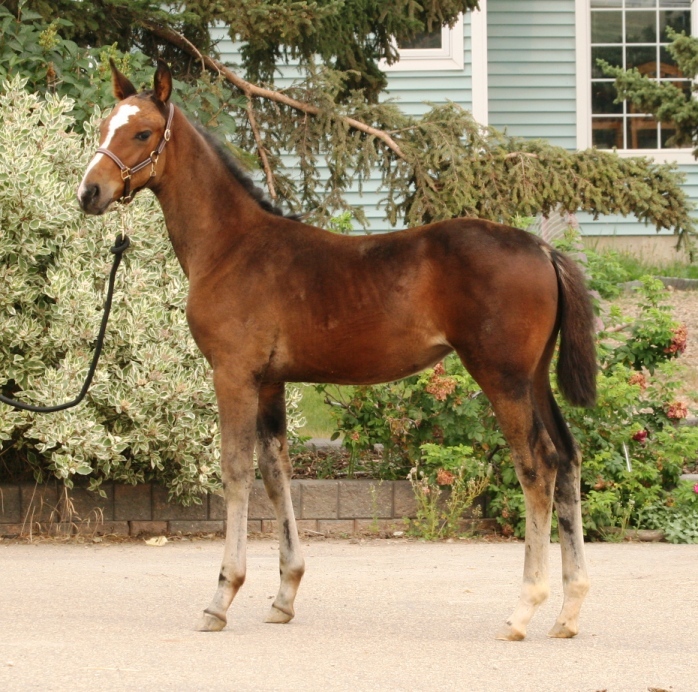 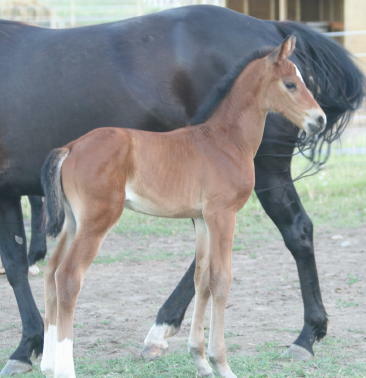 This mare line comes from generations of Keur, Pref mares. 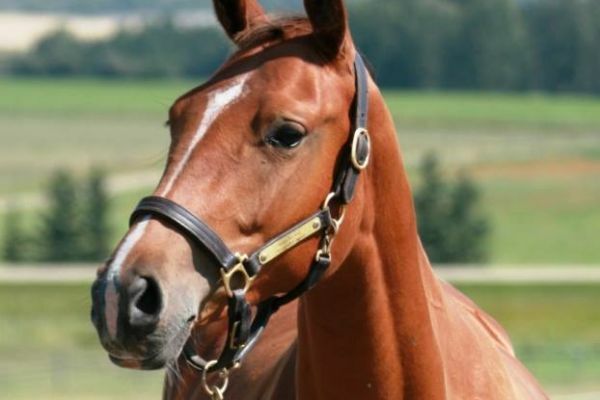 Ilobria's sire Damiro is becoming very well known as a broodmare sire and many stallions who make it through the 70 day test have him in their mother line.